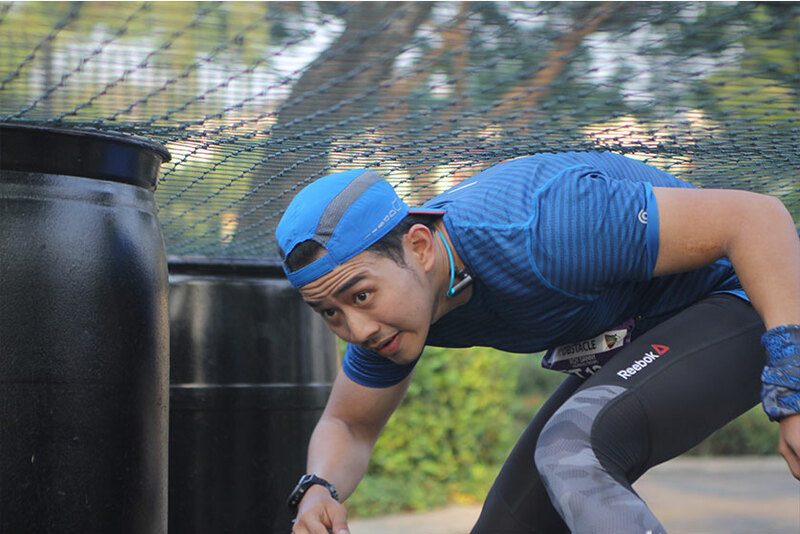 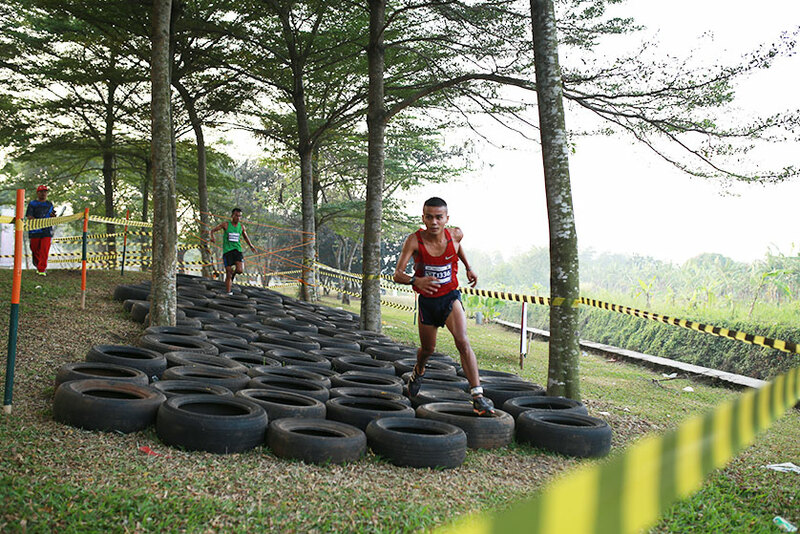 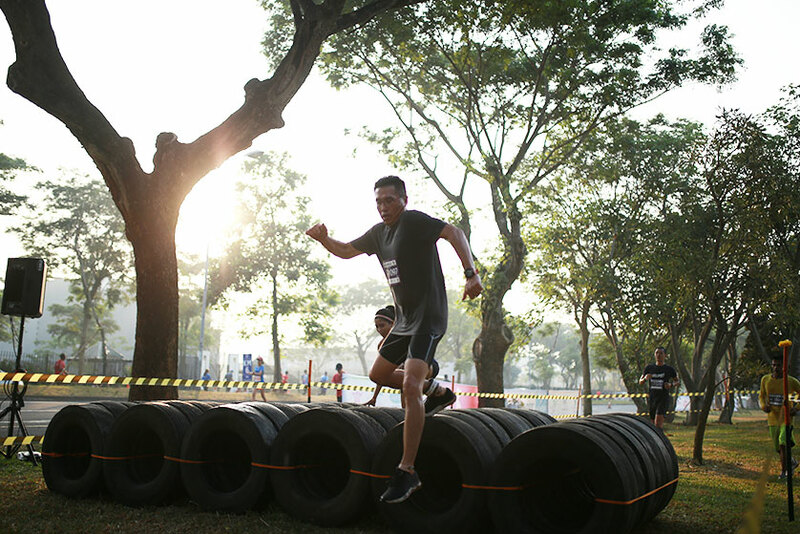 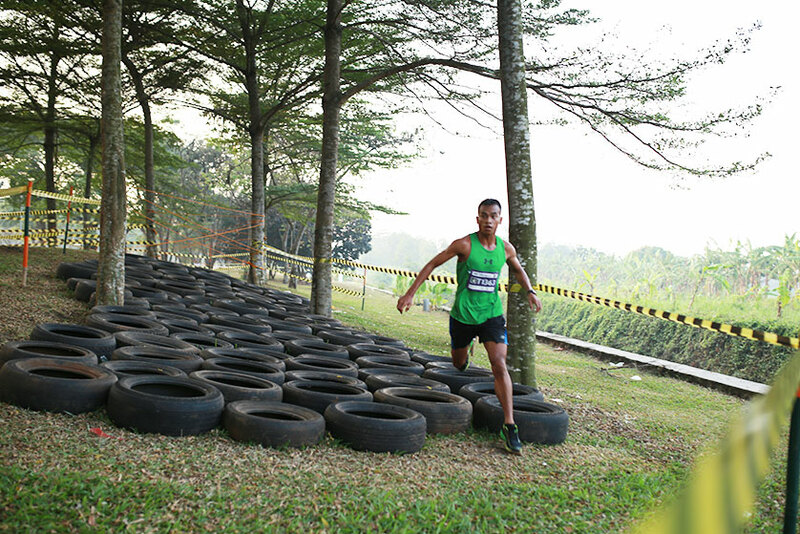 As the name implies, participants need to pass through the final track where in this obstacle there are tires arranged along the running track. 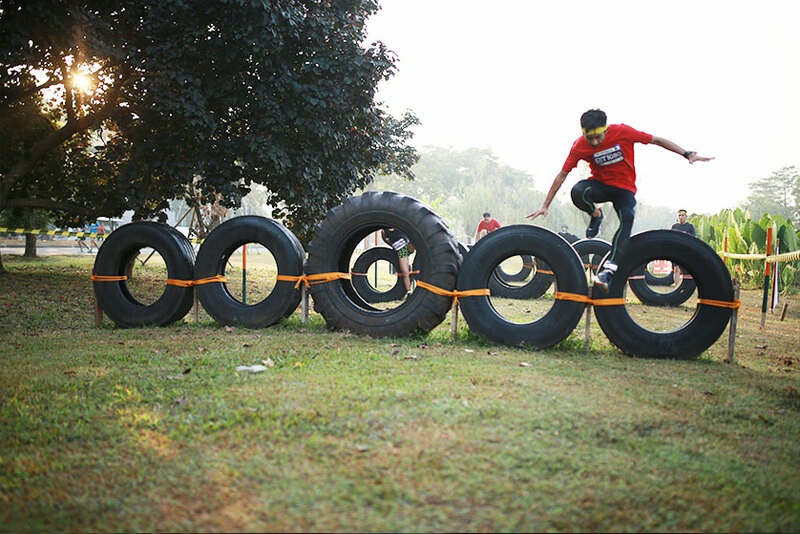 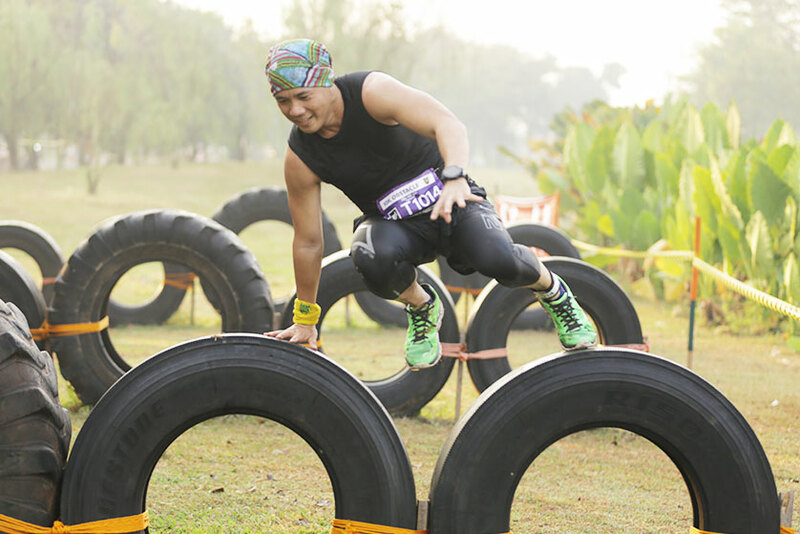 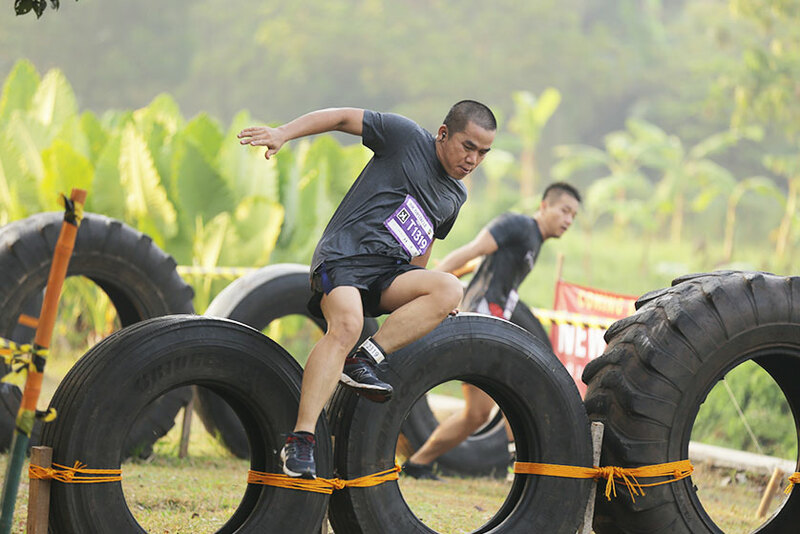 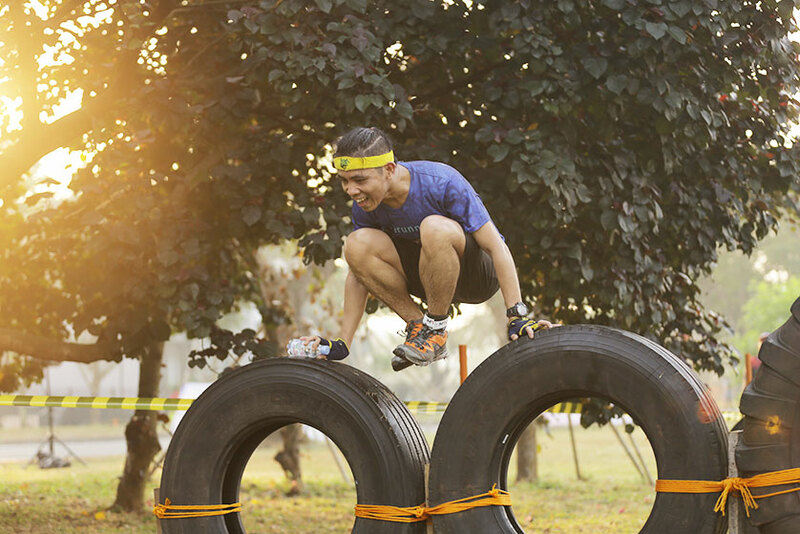 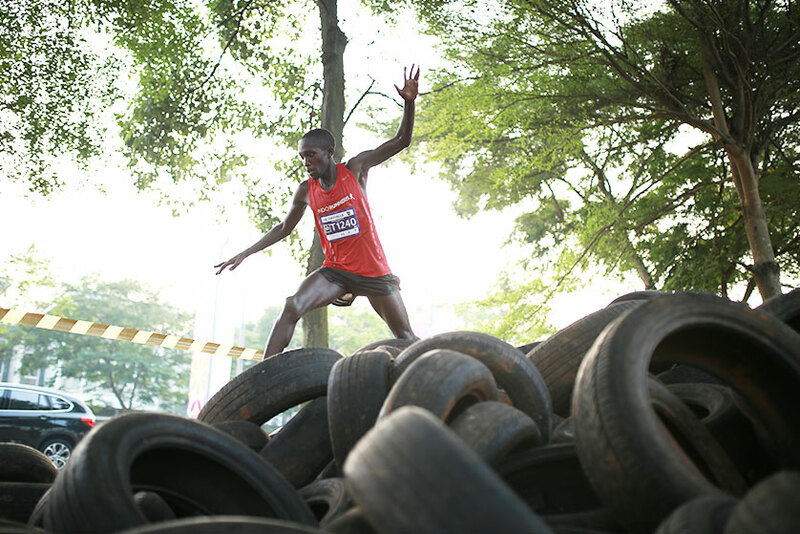 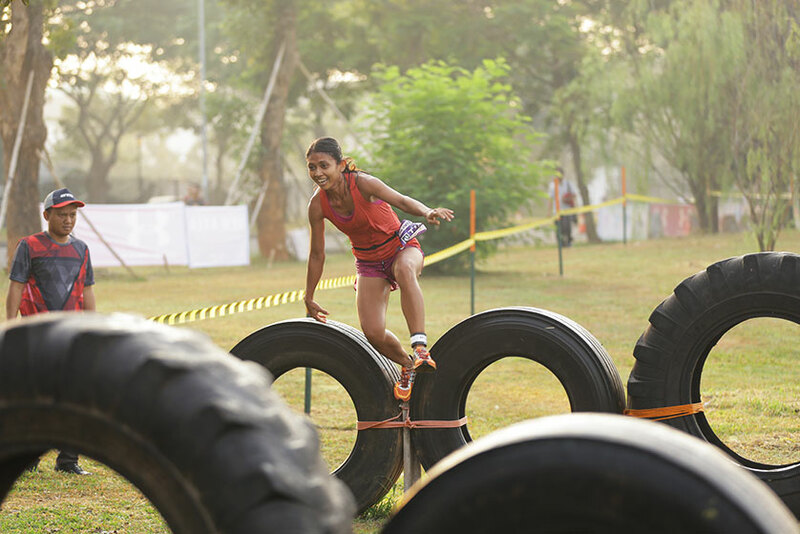 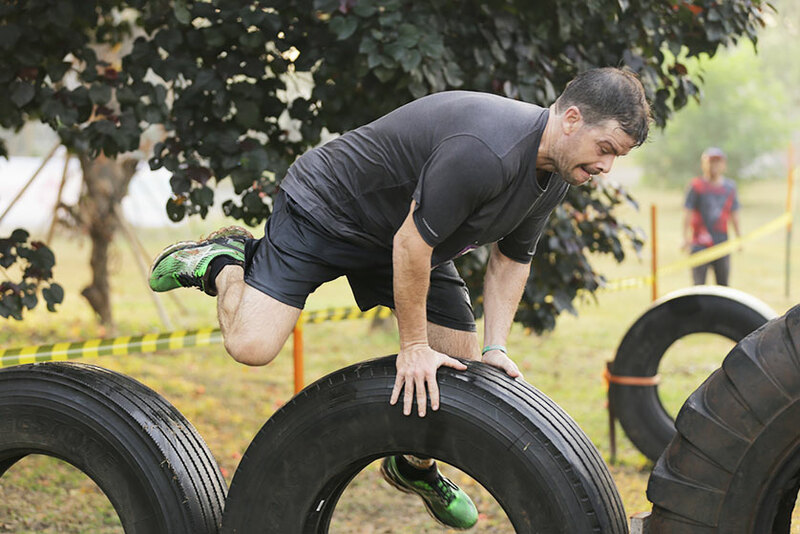 One of the challenges is participants will be faced to a high-piled of tires and they have to try to jump over those tires. 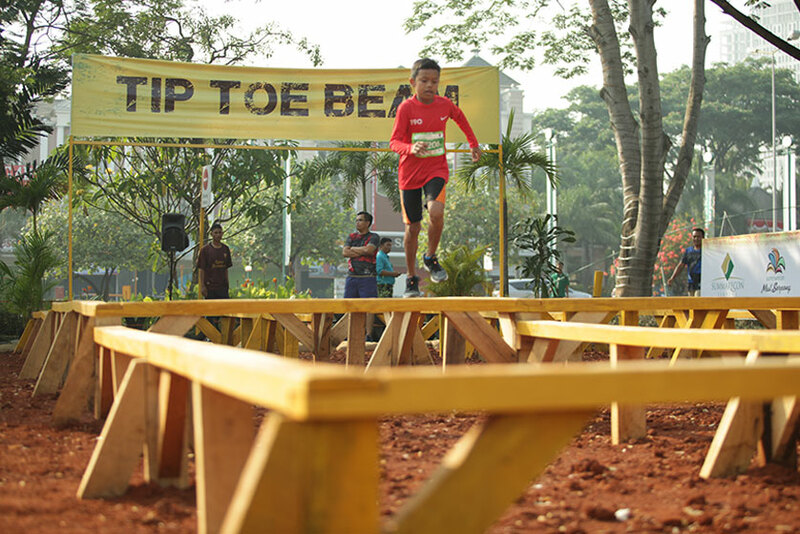 This obstacle requires each participants’ legs agility in order to finish the obstacle quickly. 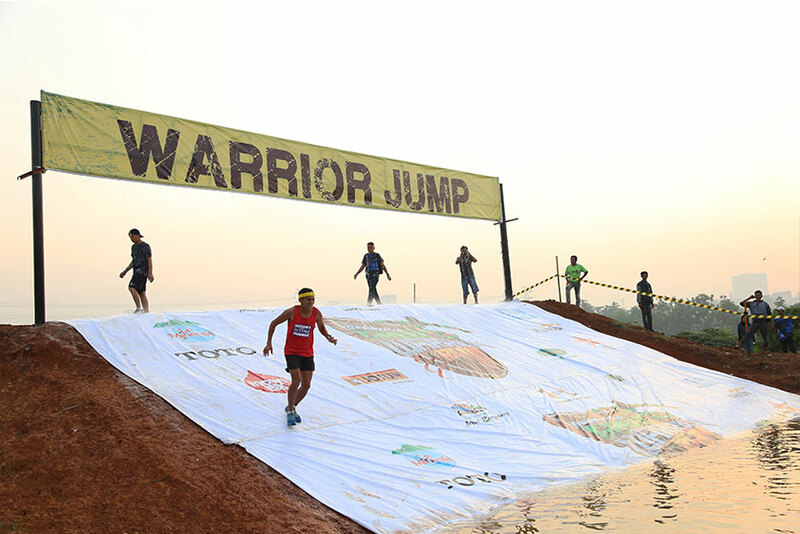 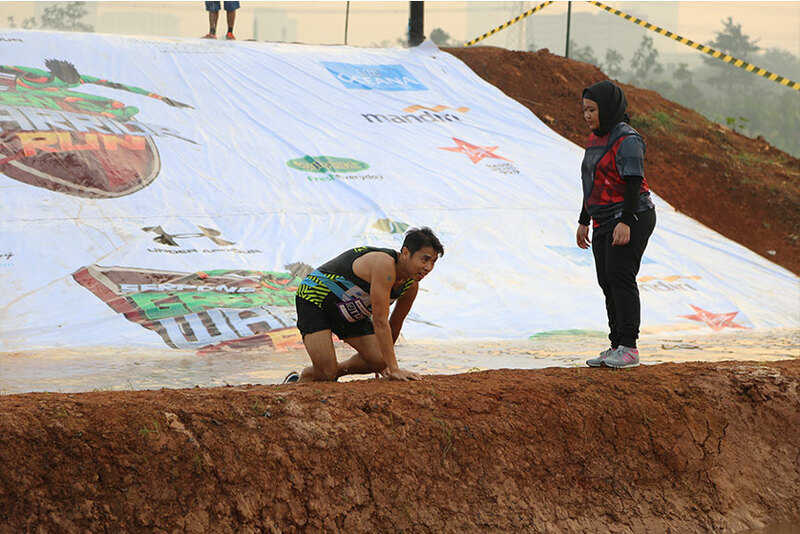 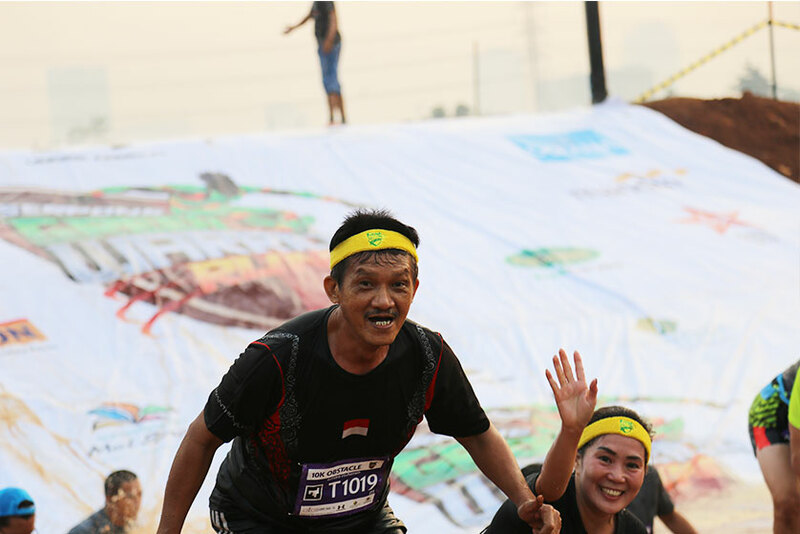 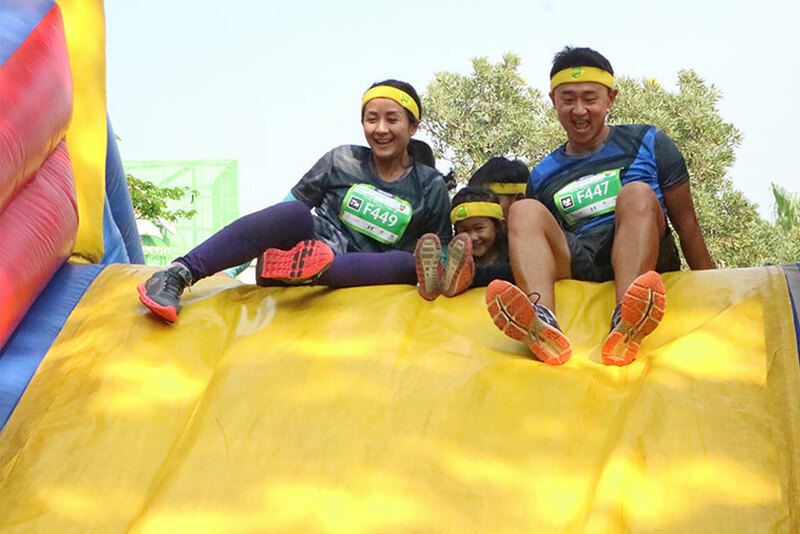 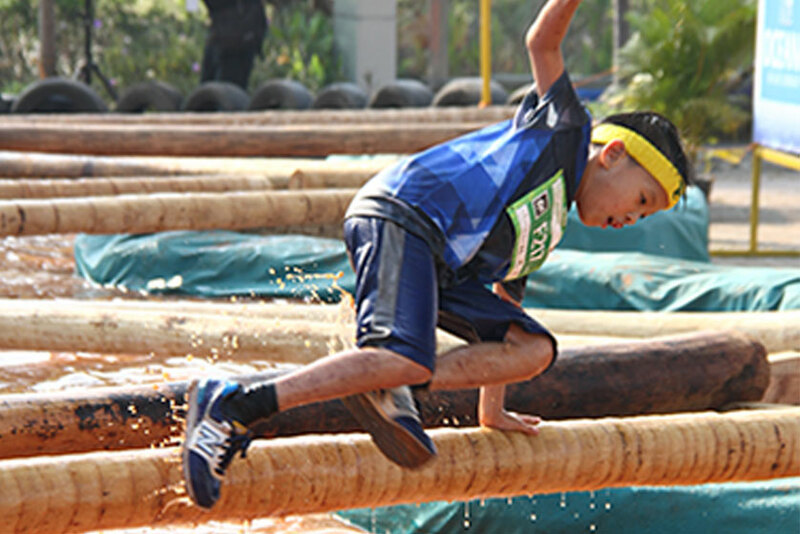 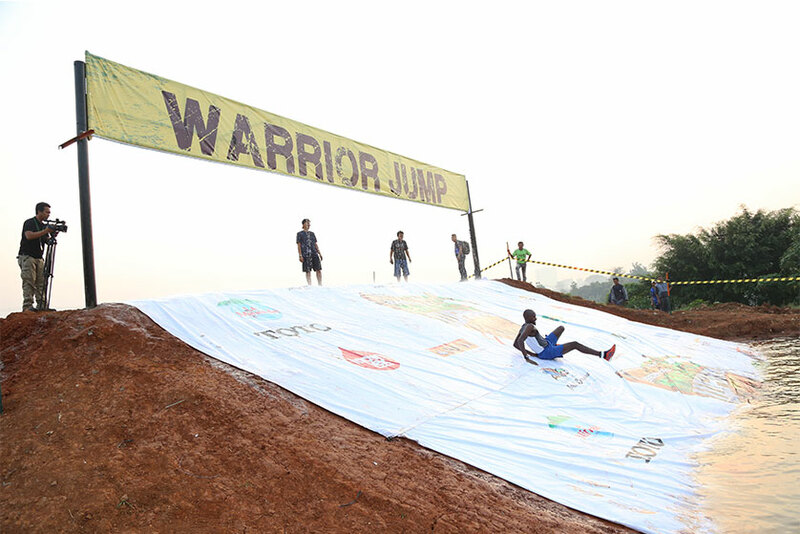 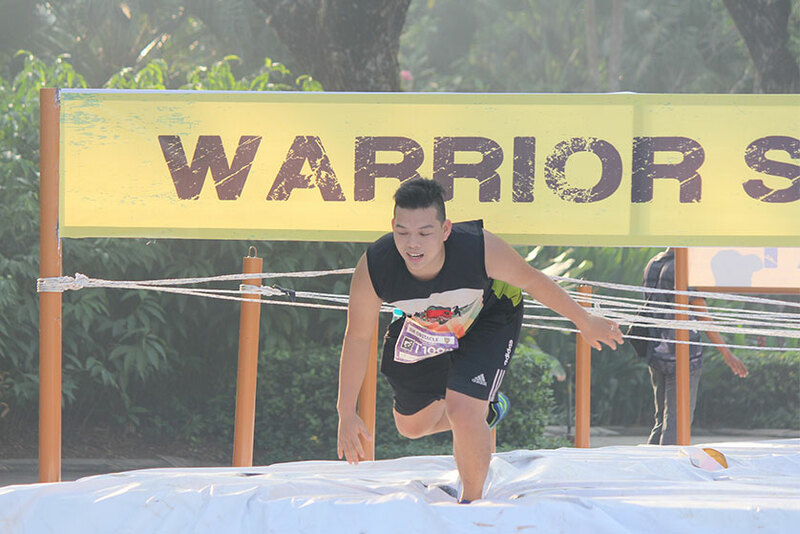 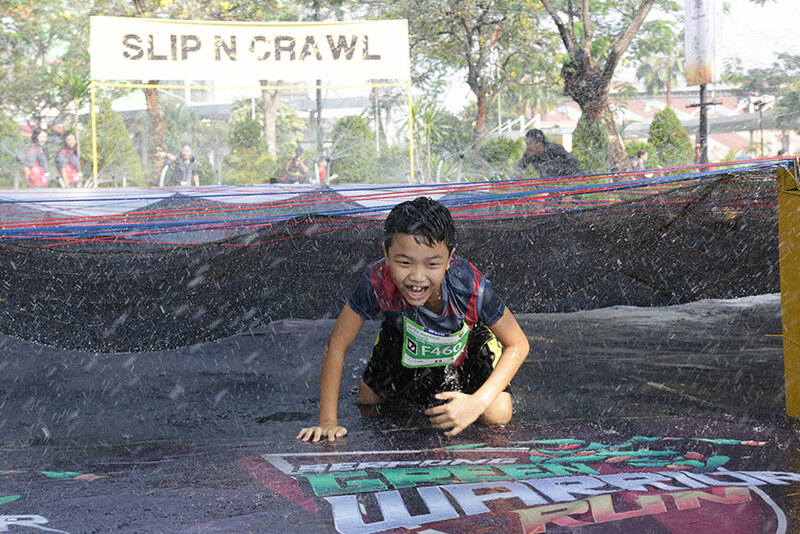 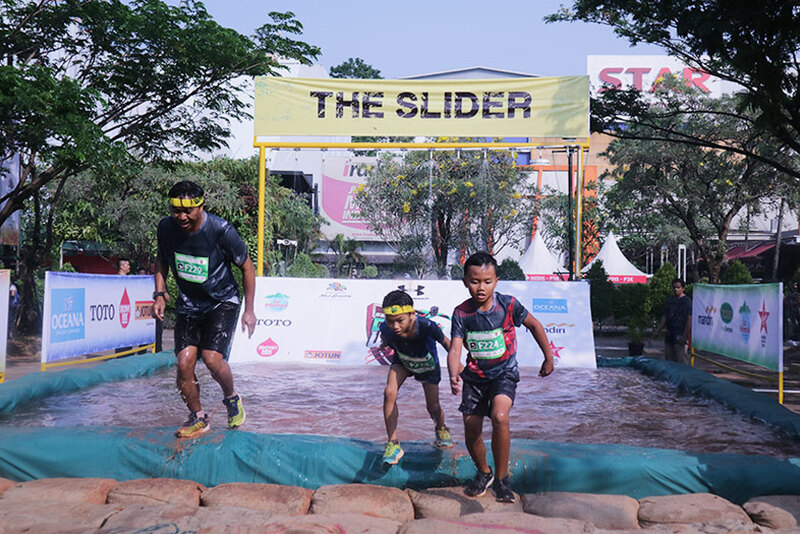 In the first obstacle, participants will encounter a fairly elevated and slippery mound. 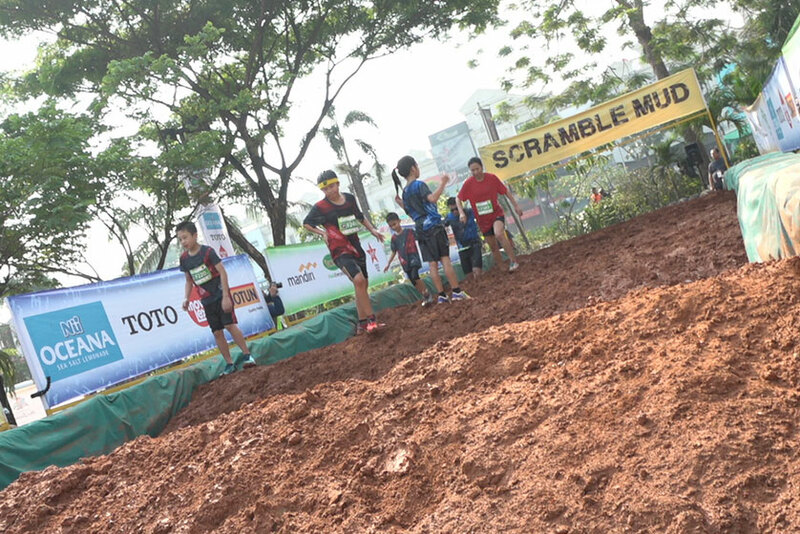 Participants have to climb the mound from side to side. 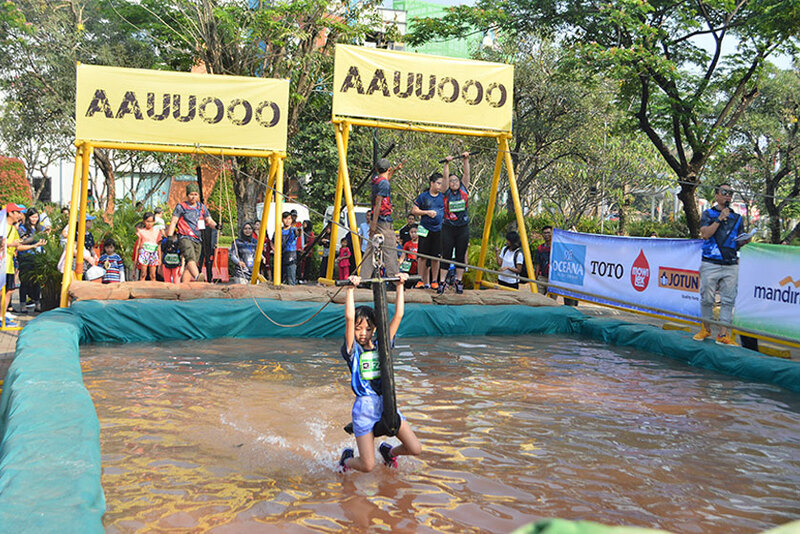 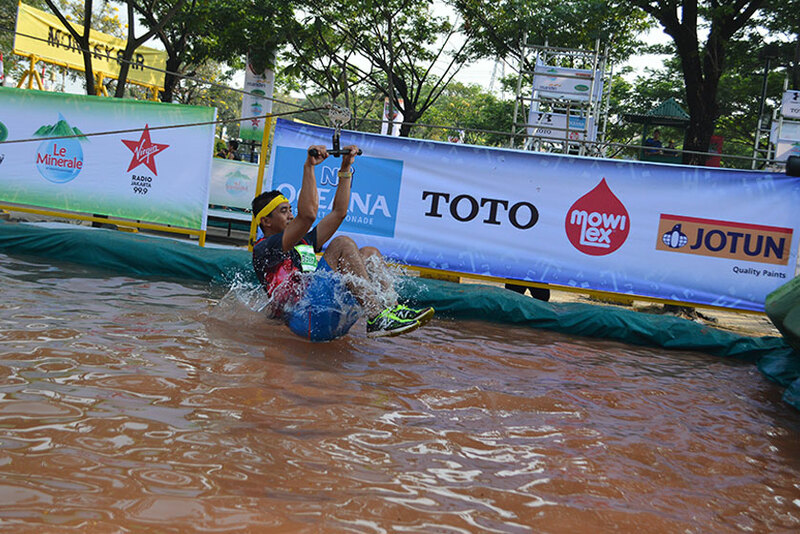 Not only that, participants have to jump over smaller mounds through a muddy and watery track. 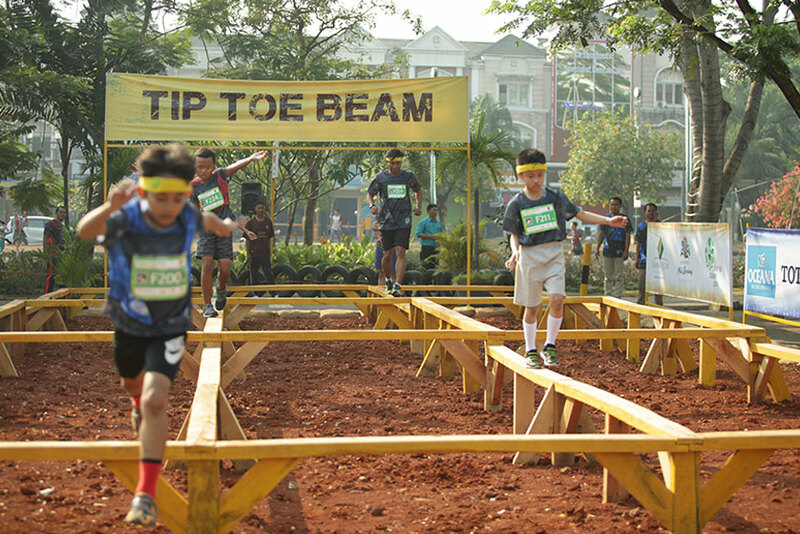 In this obstacle, participants must be able to keep their body balanced, because one of the obstacles requires each participant to walk on a beam with a puddle of mud under. 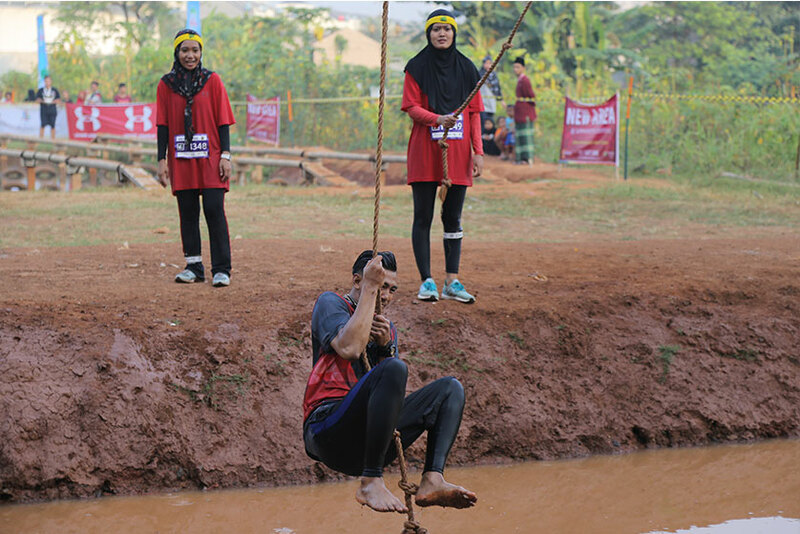 Other than that, participants will also be faced to a hanging string and they have to swing their bodies to avoid water under the beam. 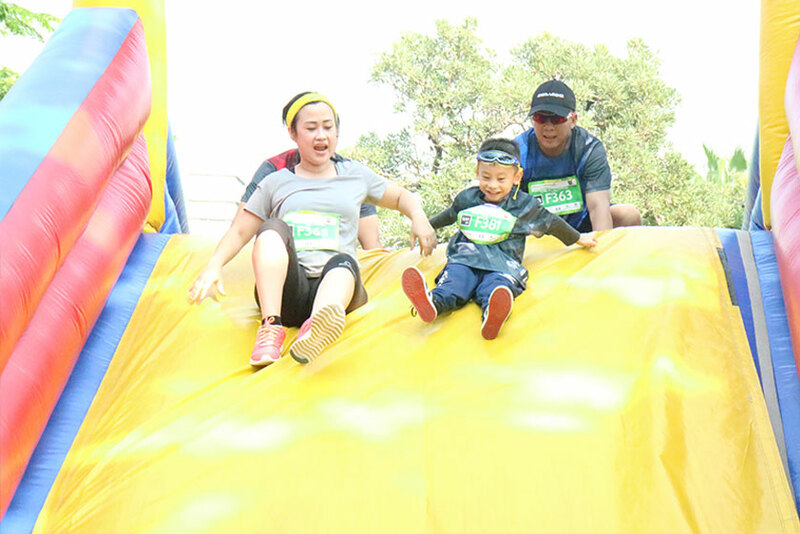 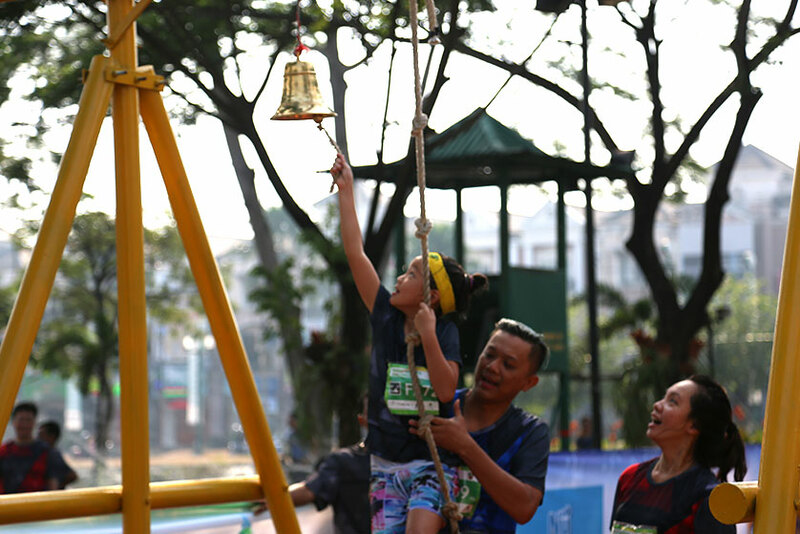 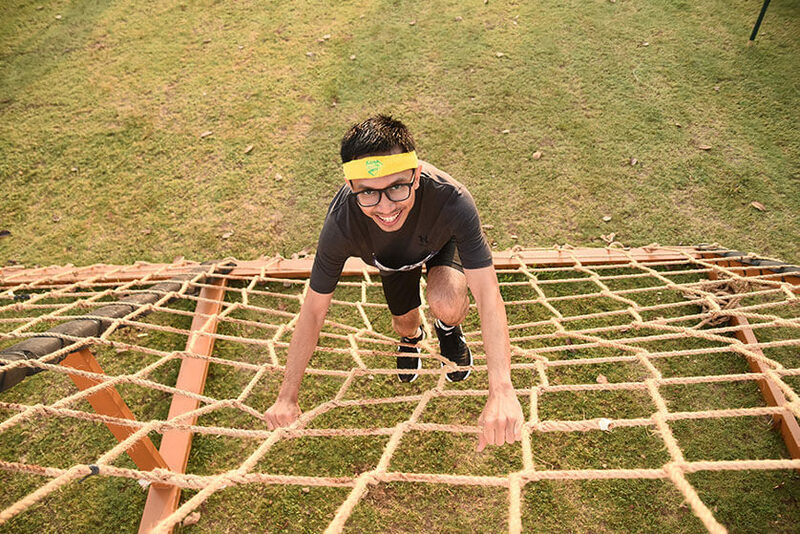 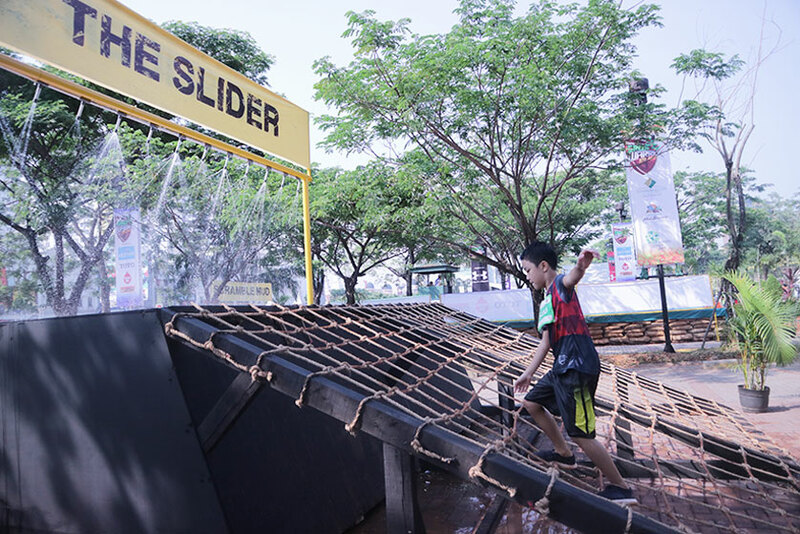 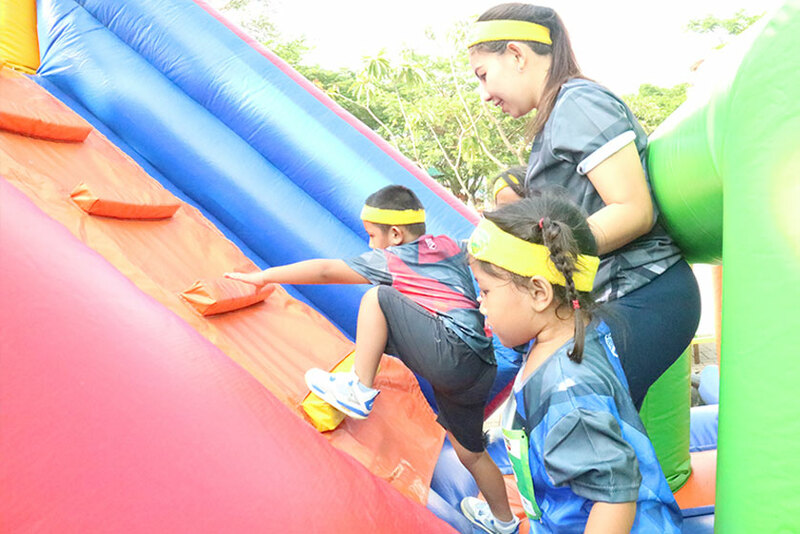 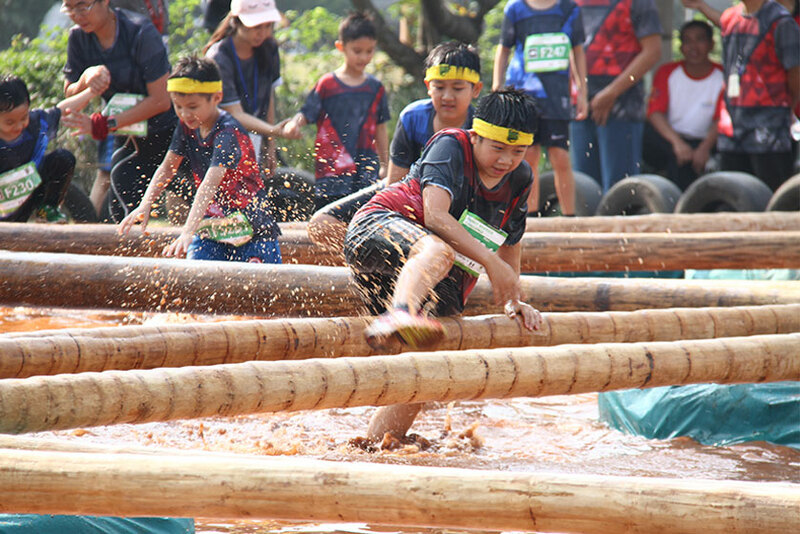 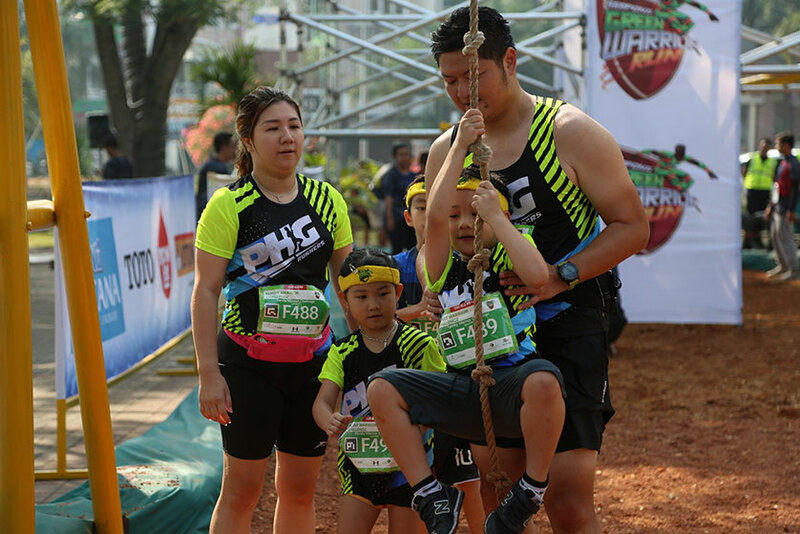 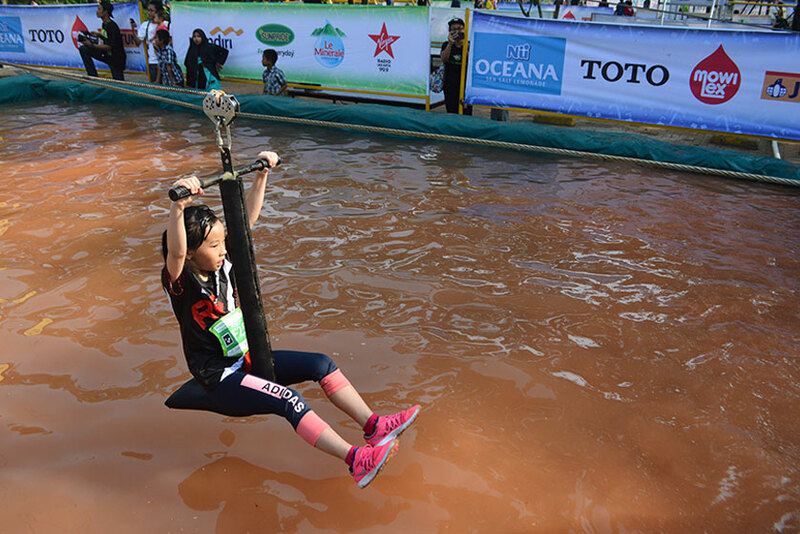 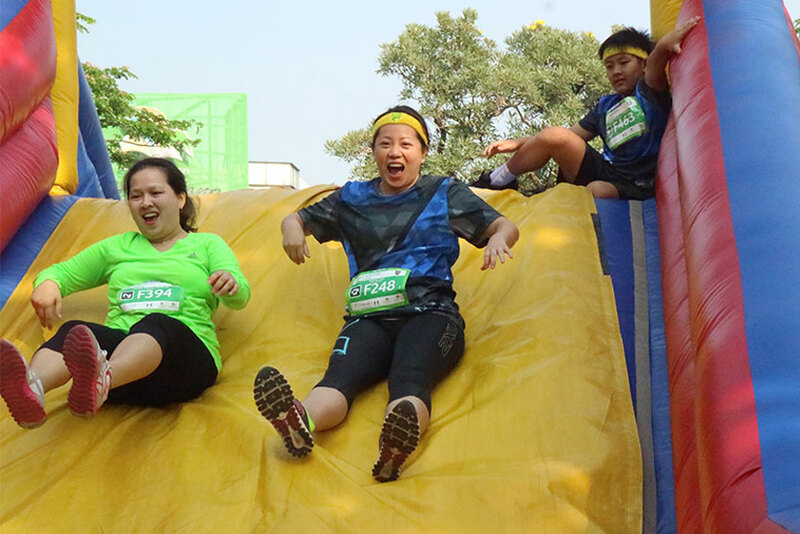 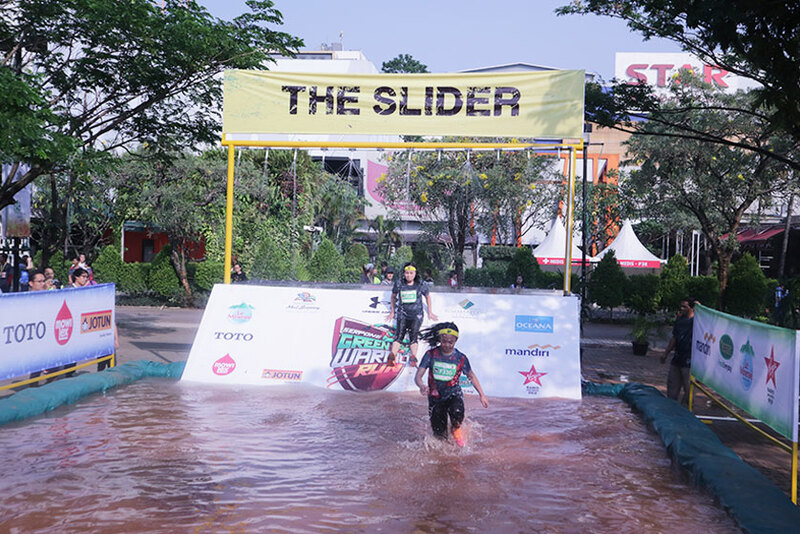 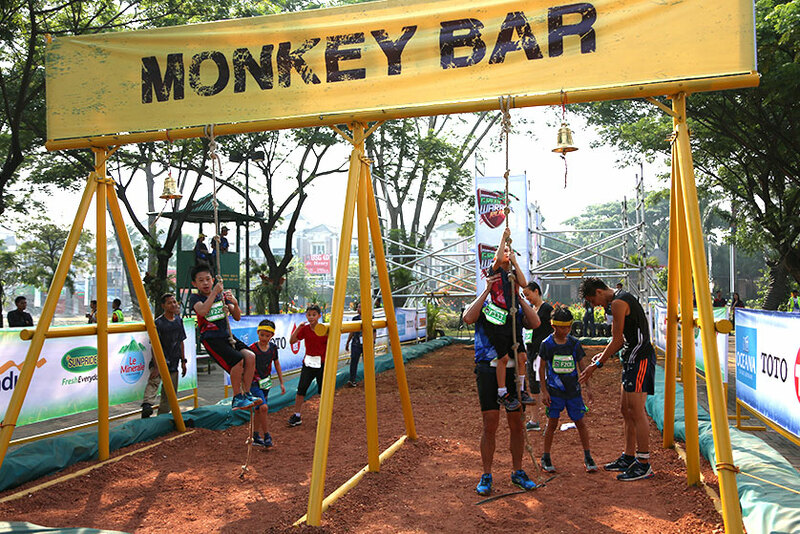 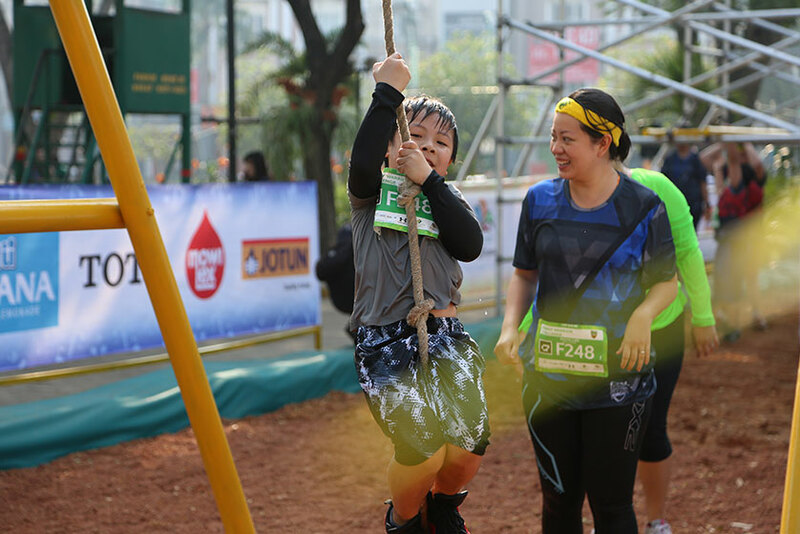 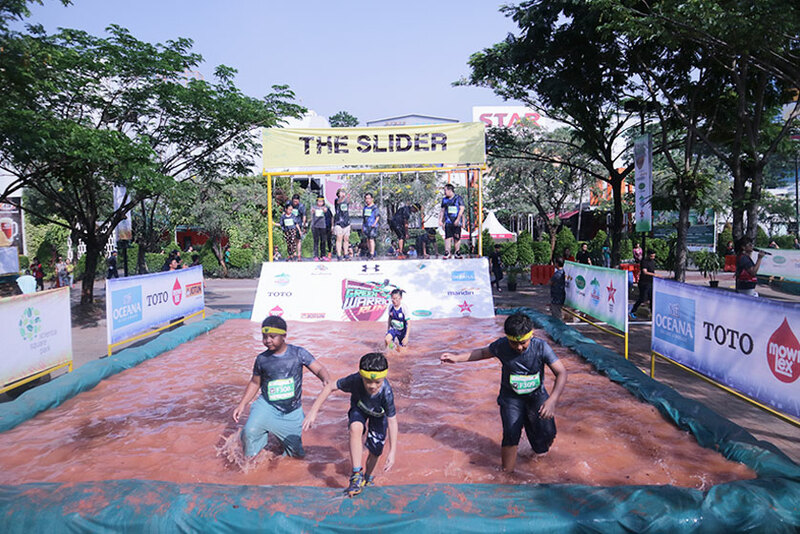 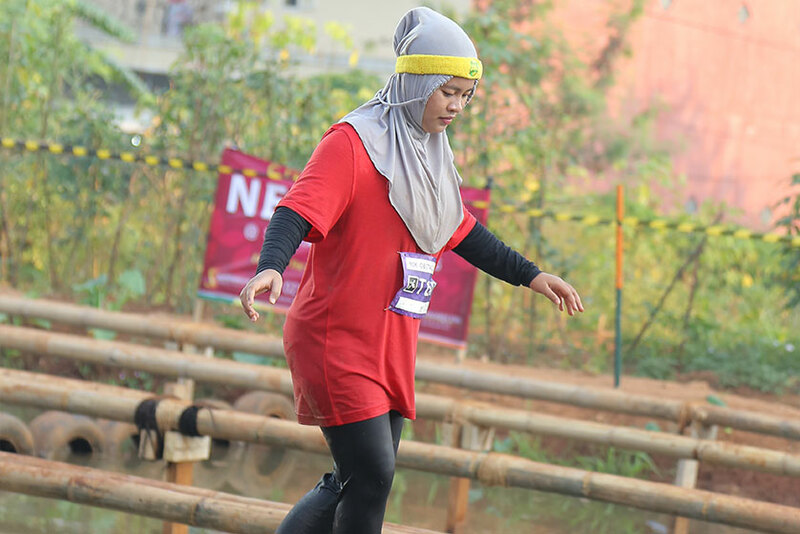 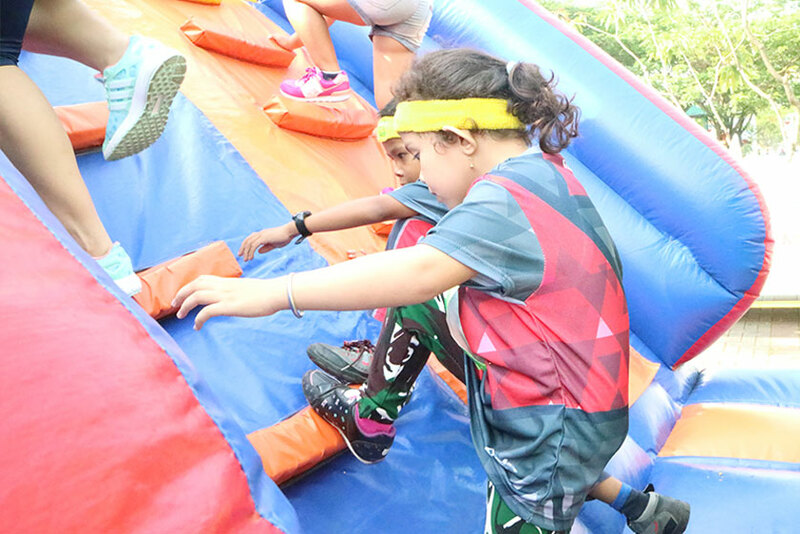 This obstacle may looks easy, but participants need to be careful because the track is very slippery, where there is a big and tall beam which will be flowed with water and they have to climb it and slide alongside the beam. 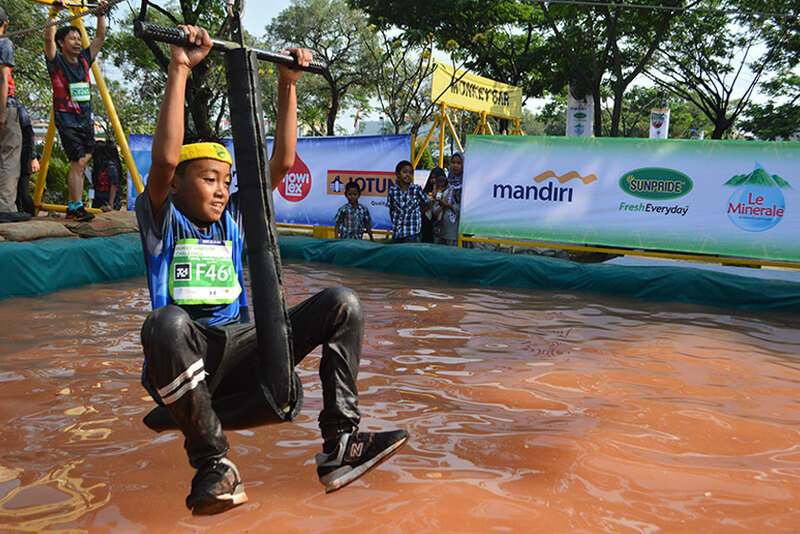 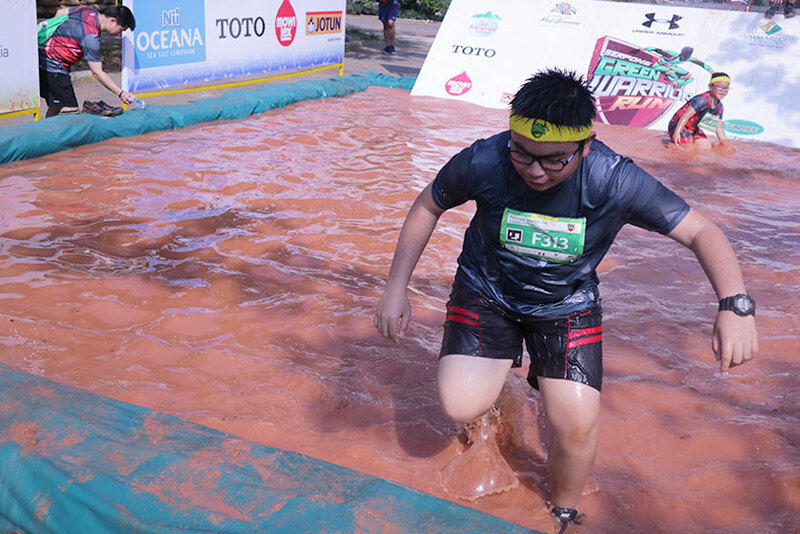 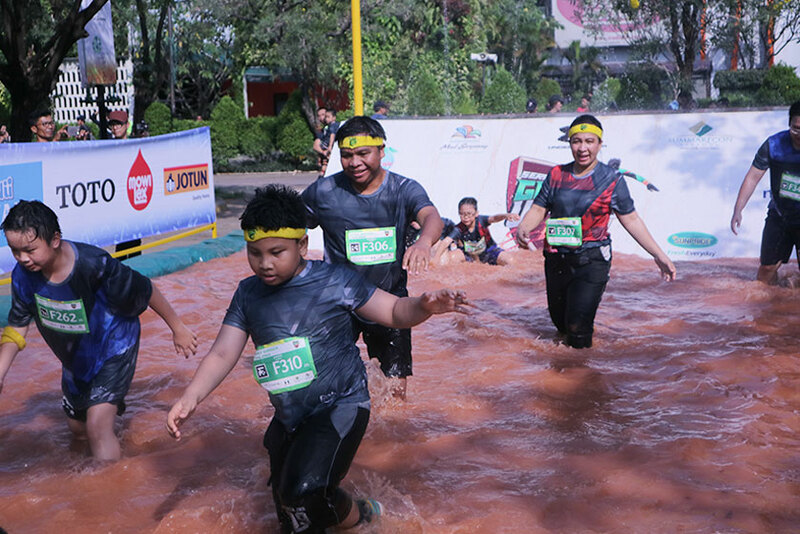 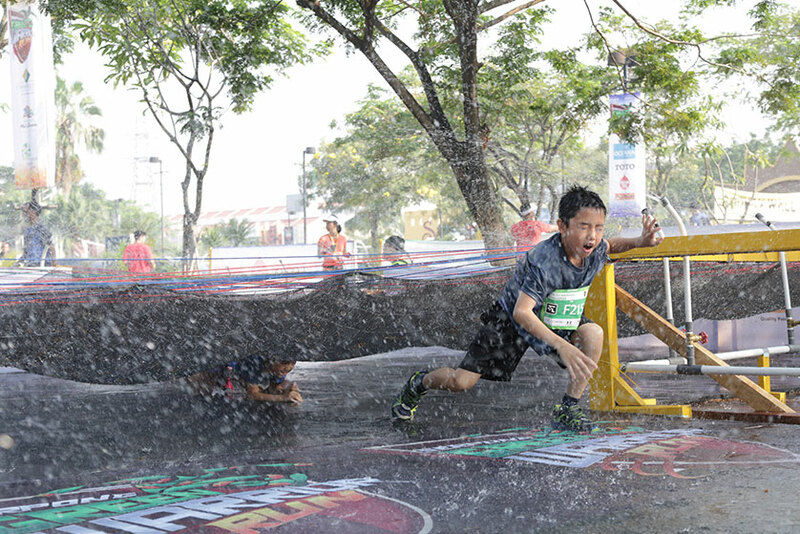 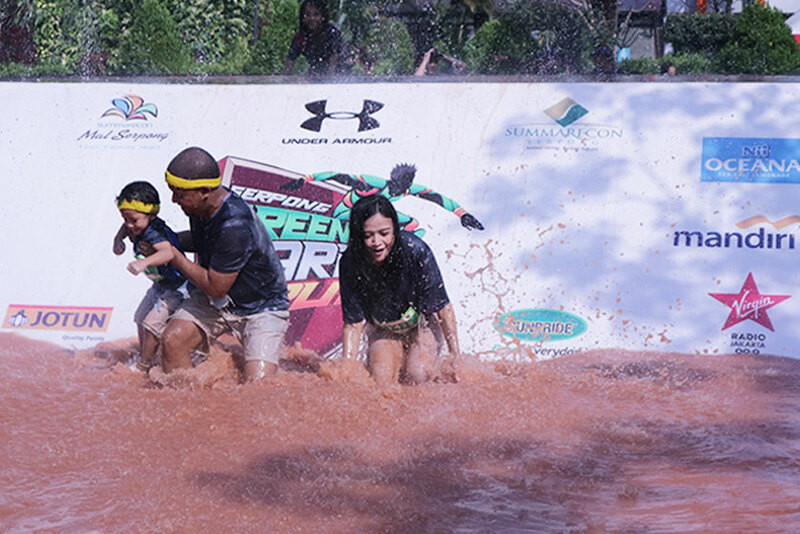 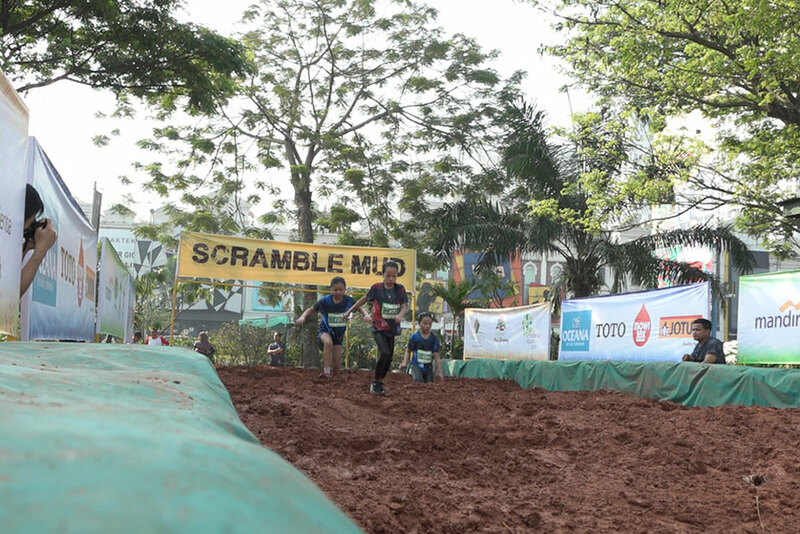 After that, participants still have to run over the wet and slippery track. 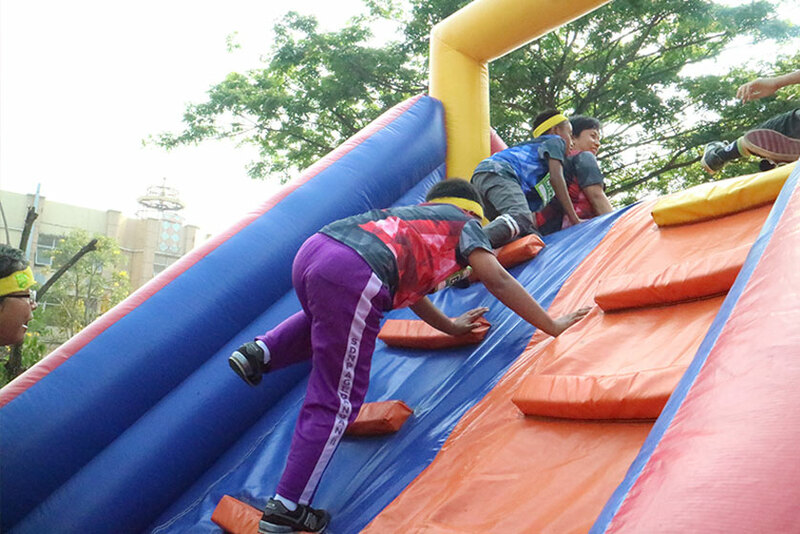 As a first obstacle, participant will face a bouncy wall. 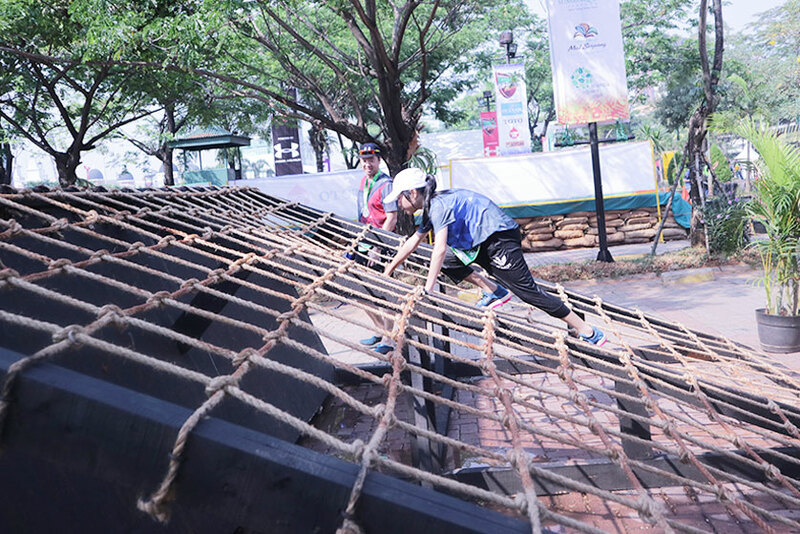 In this obstacle, participant must maintain their balance in order to not fall down. 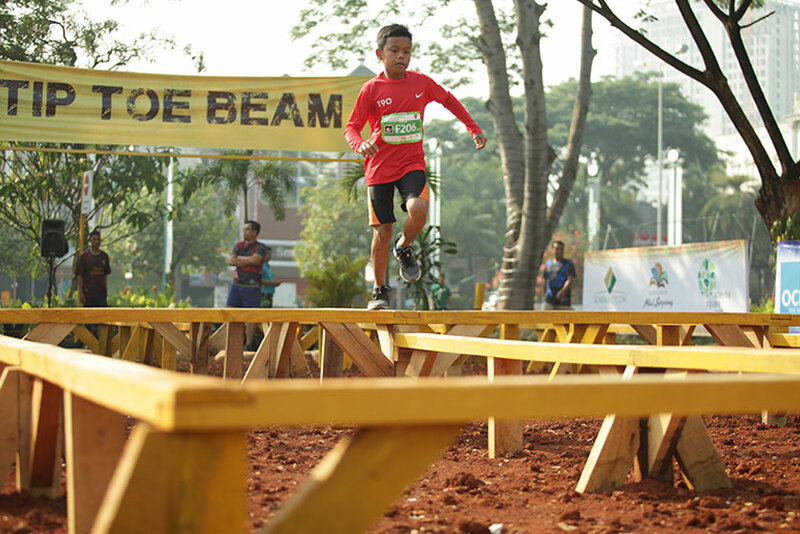 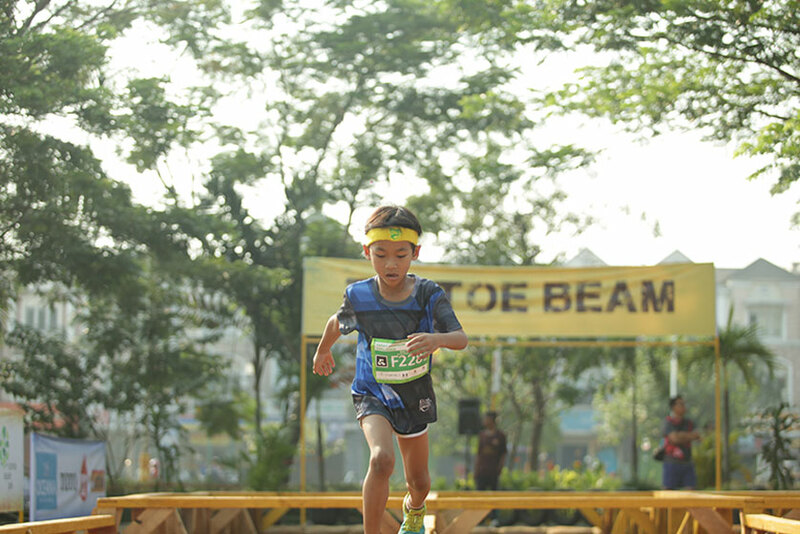 In this obstacle, participant will face some beams to pass. 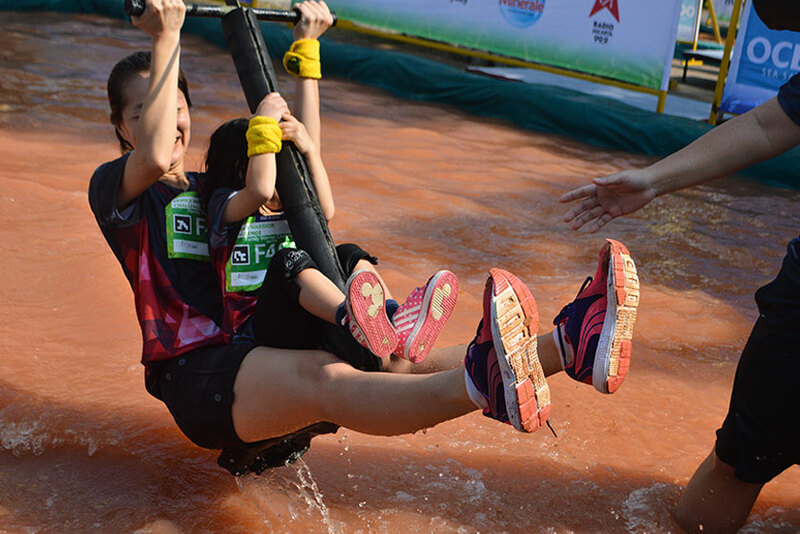 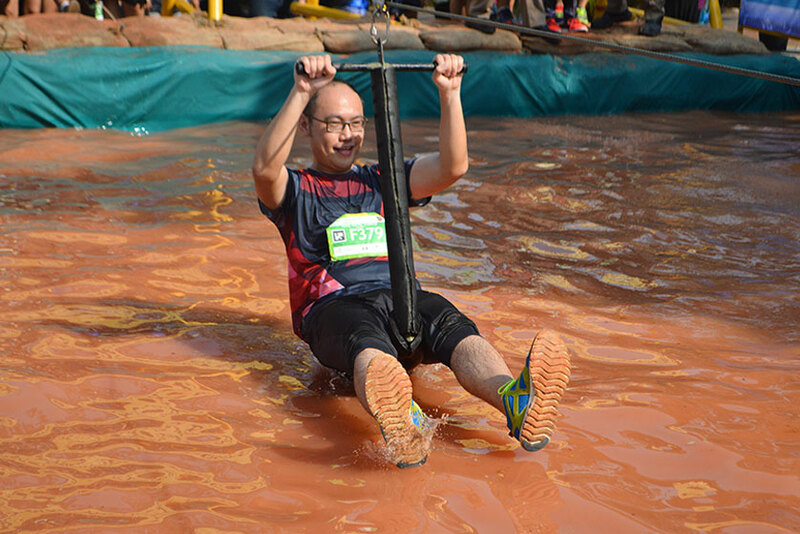 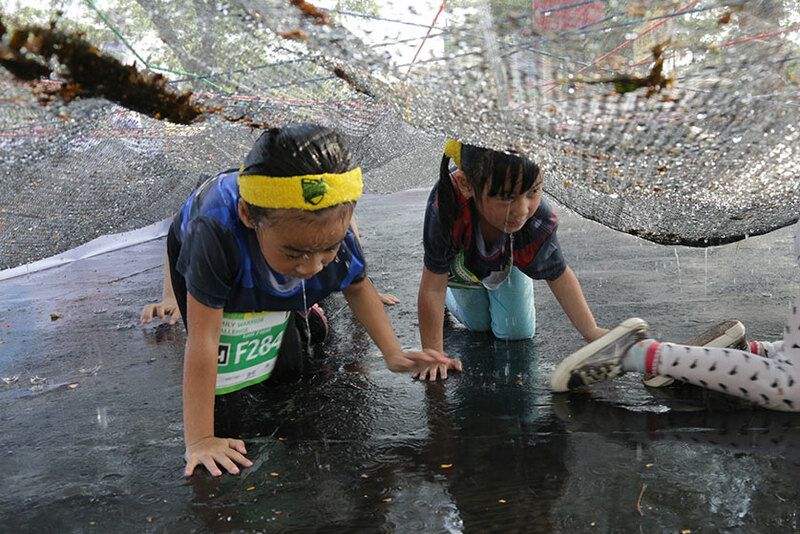 Below the beams, there is a mud pool, so participant have to maintain balance while walking on thin beam bridge. 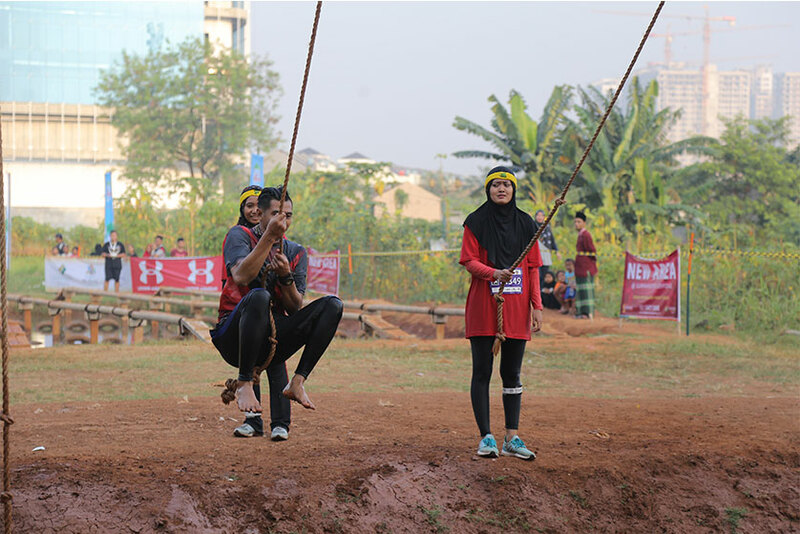 Participants will also face a string track where they have to stay balanced by holding on to the string above them. 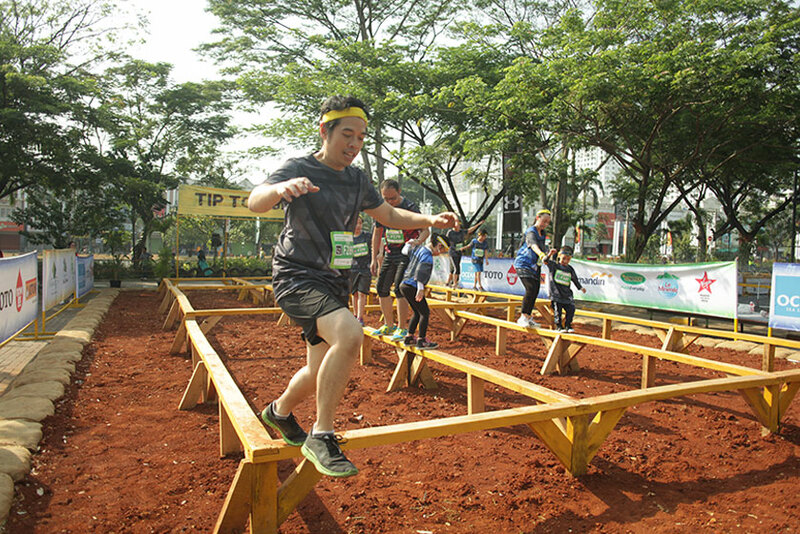 This obstacle presents a unique challenge, in which the Green Warrior must stay calm to keep the balance, but on the other hand, also must be agile in order to complete the challenge in the shortest possible time. 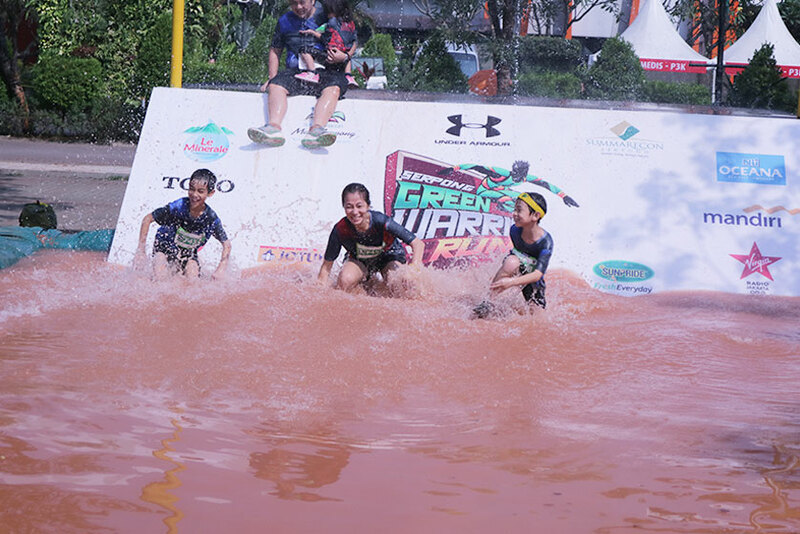 All Green Warrior are forced to pass this obstacle strategically. 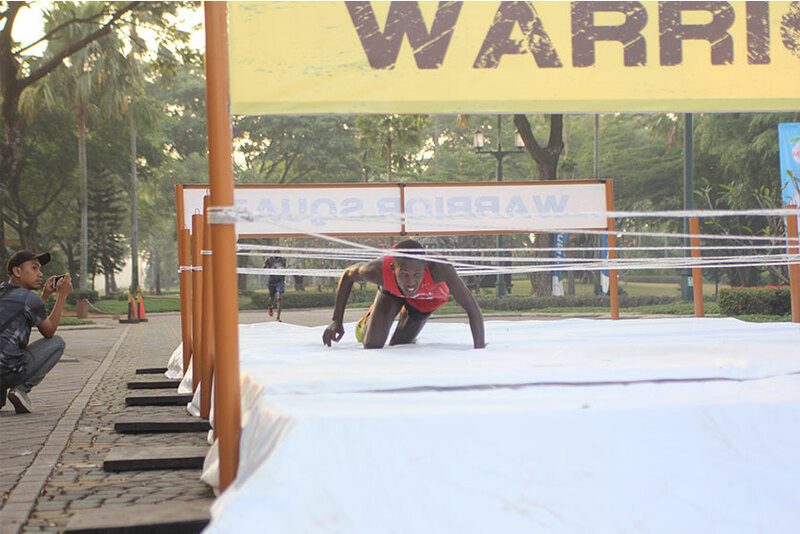 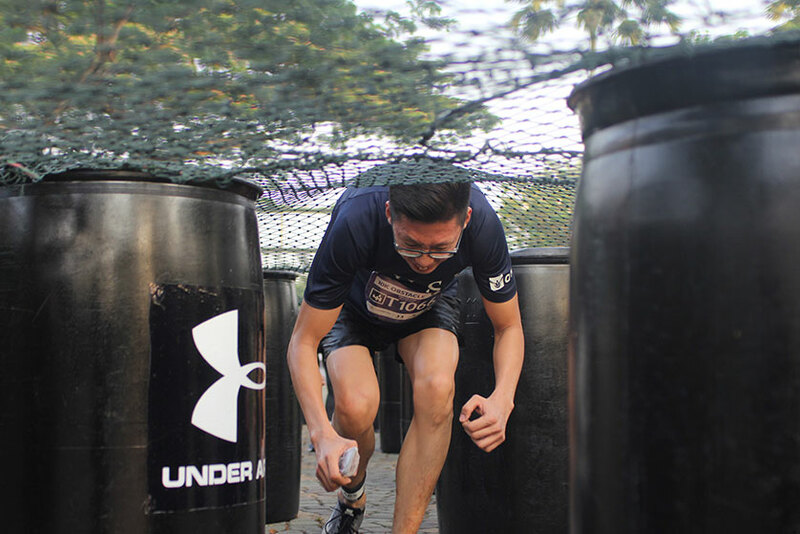 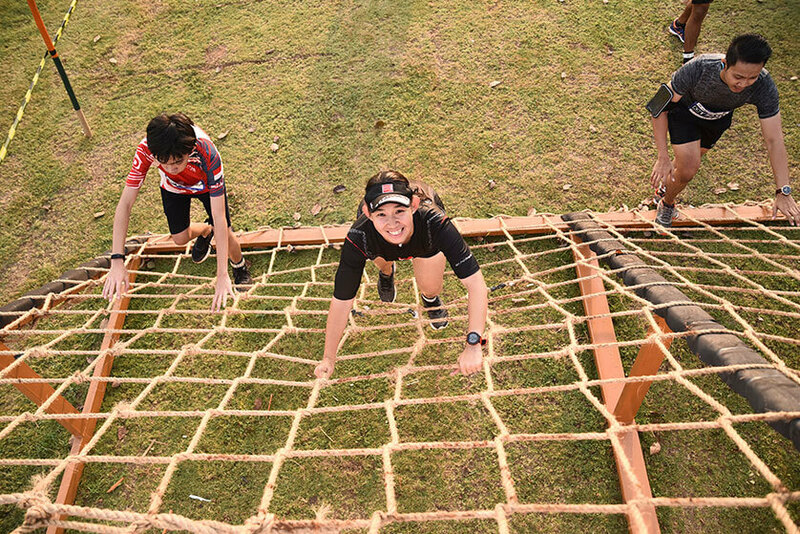 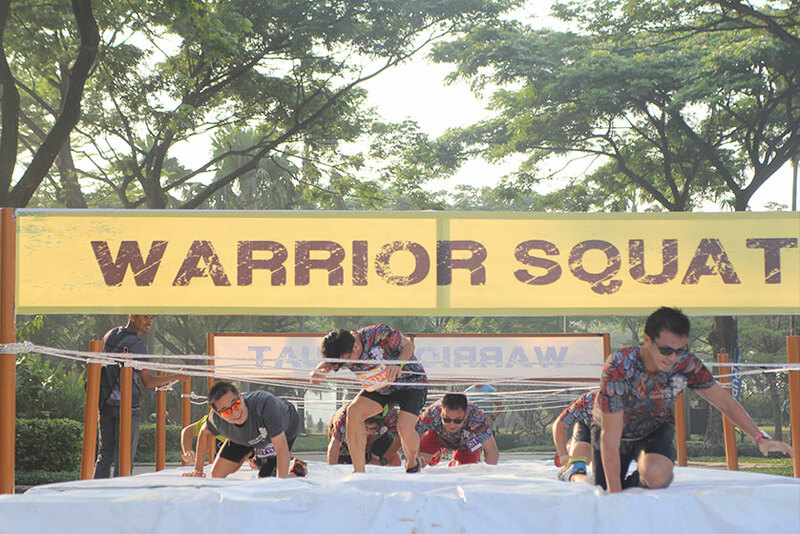 To train the body agility, in this obstacle the participants will face up a track which is formed of adult waist-high arranged barrels with a net on the top of it, so that the participants need to crawl to pass the track. 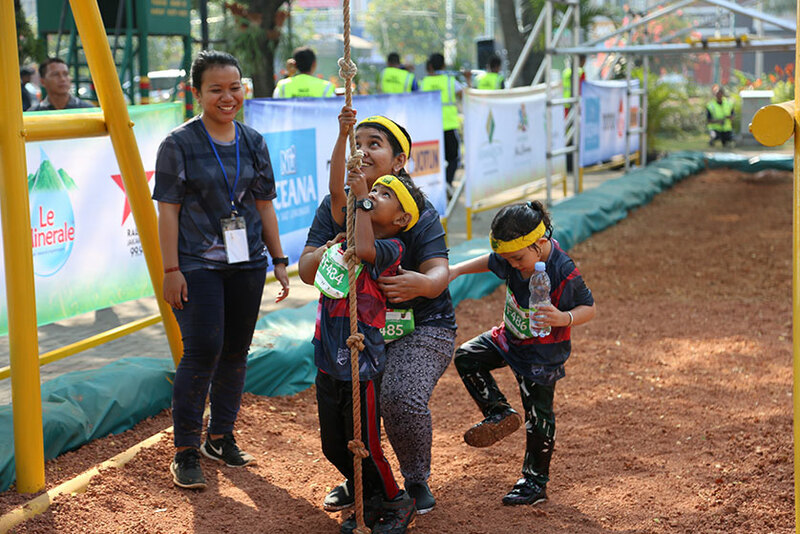 Participants will also be faced to a running track compressed by hanging balloons and they have to try to get out of that track. 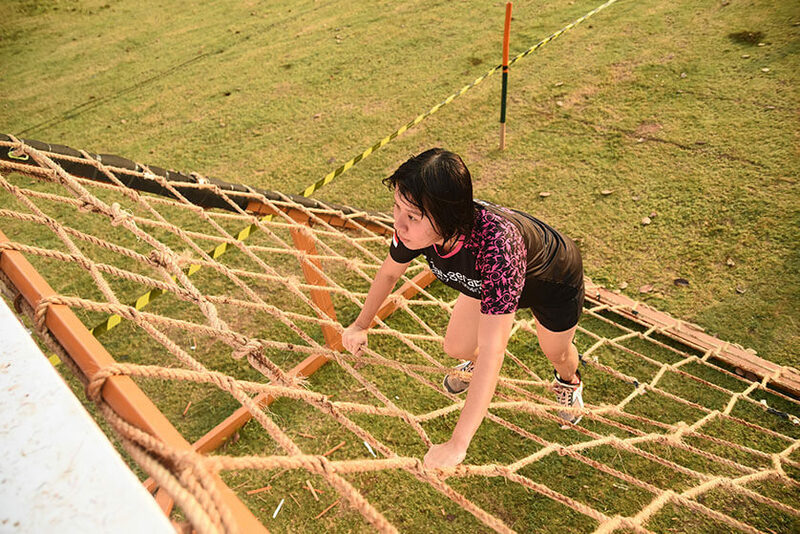 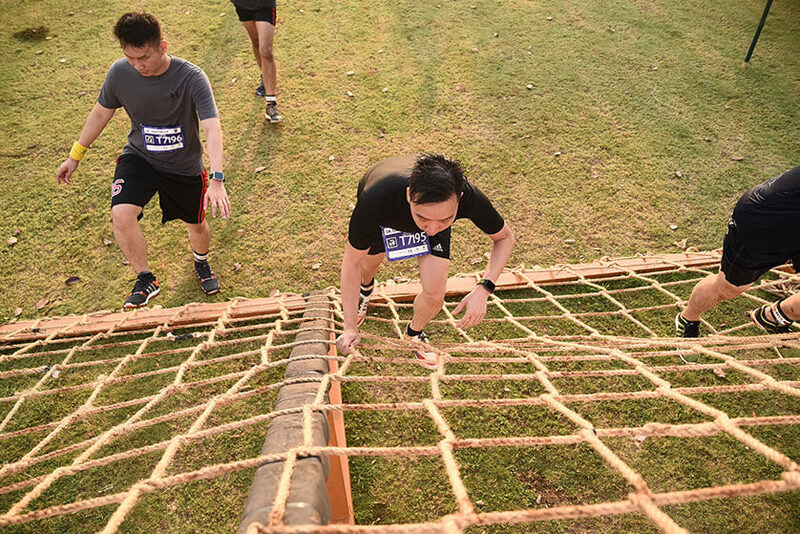 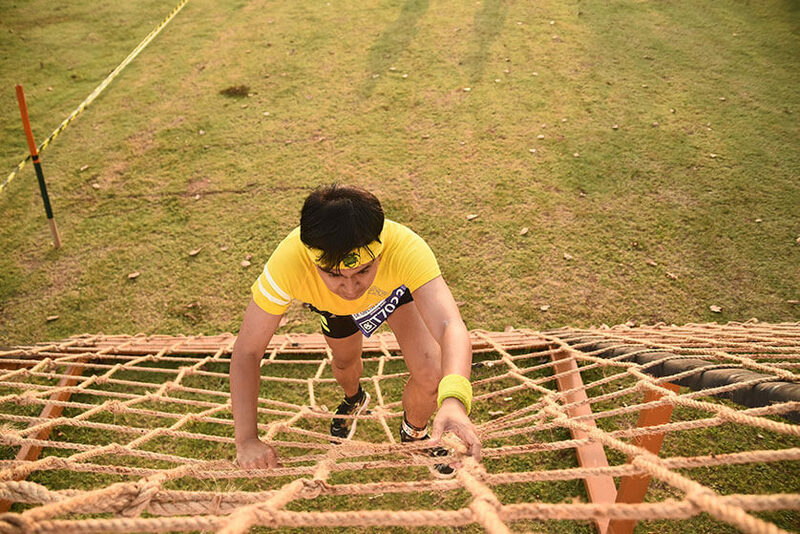 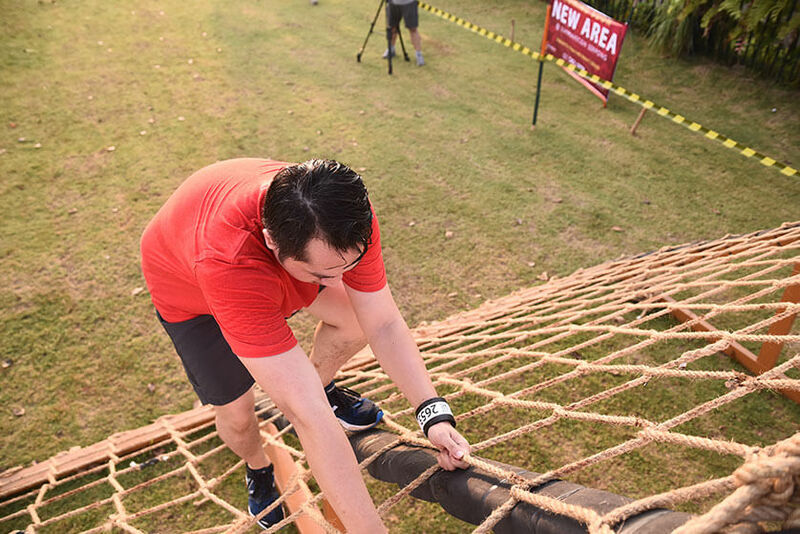 To pass this obstacle, participant will face a very short net, so participant must crawl to finish this obstacle. 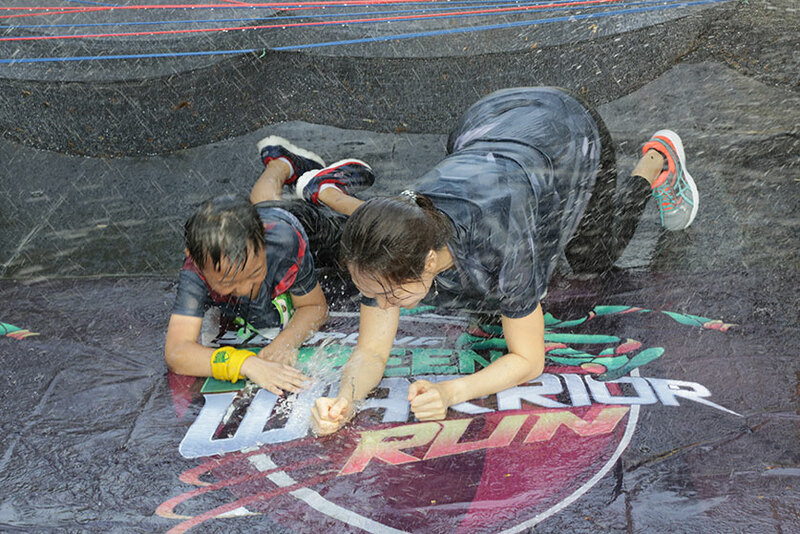 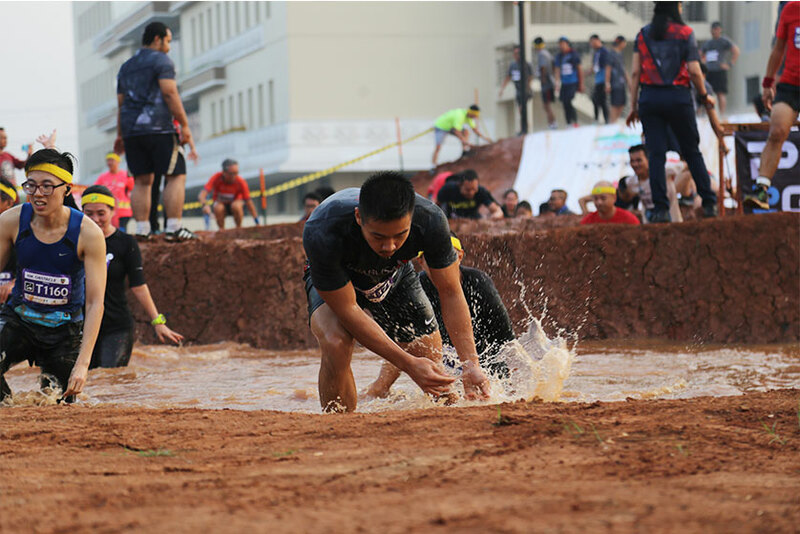 Participant are dared to be dirty because they will be face the mud directly to their body. 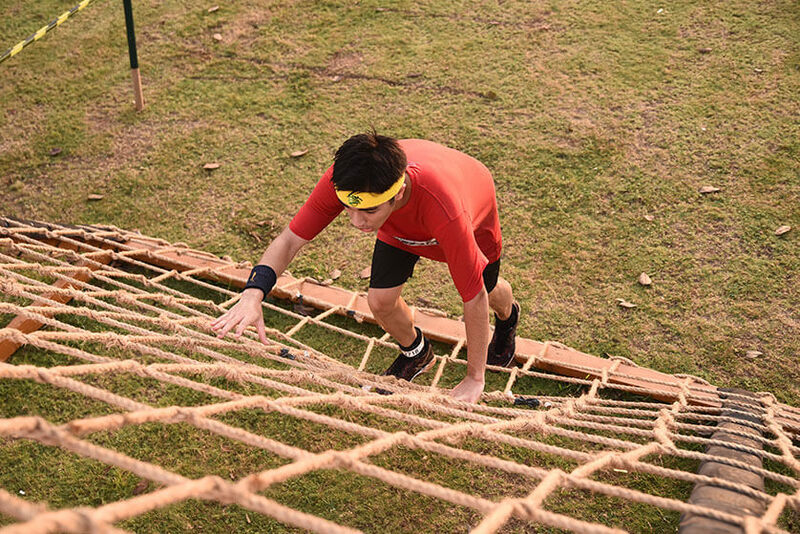 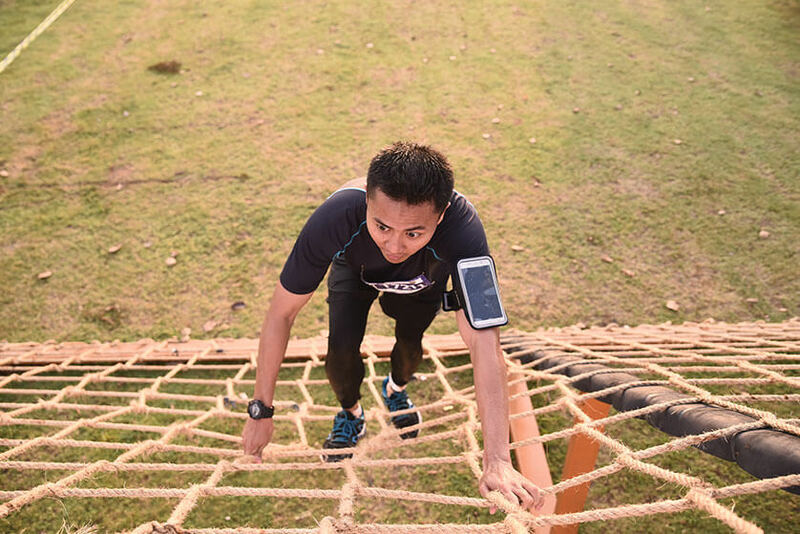 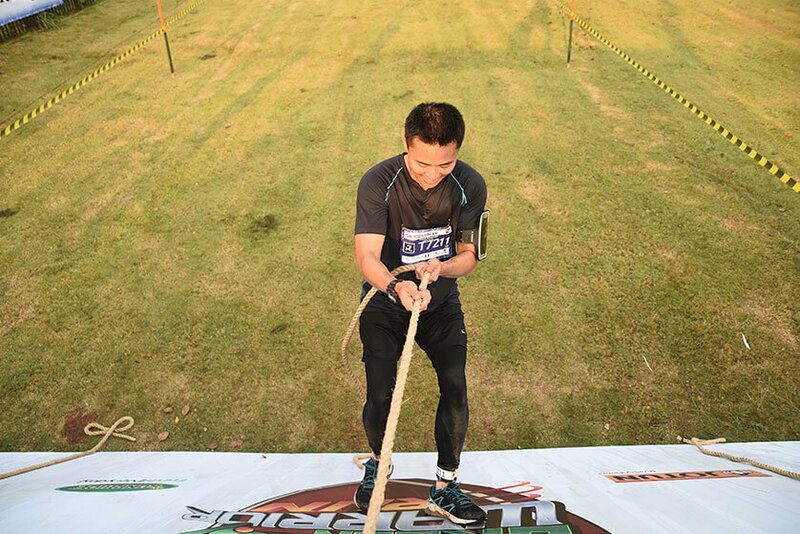 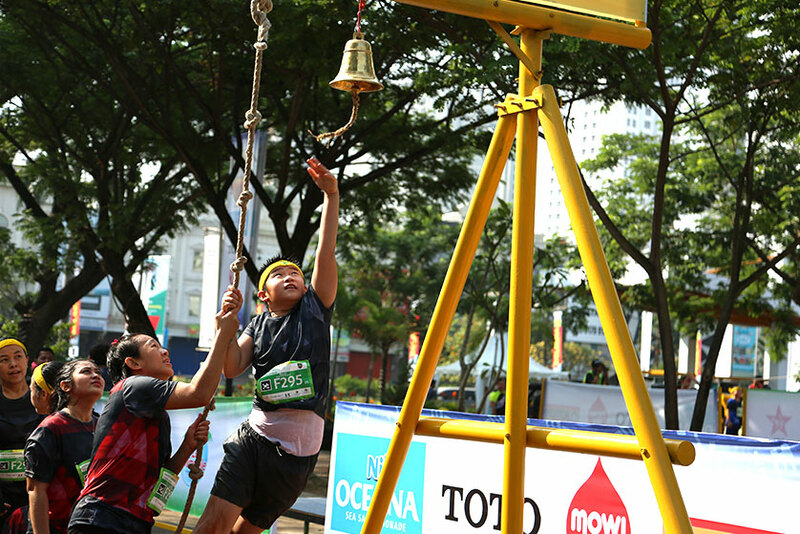 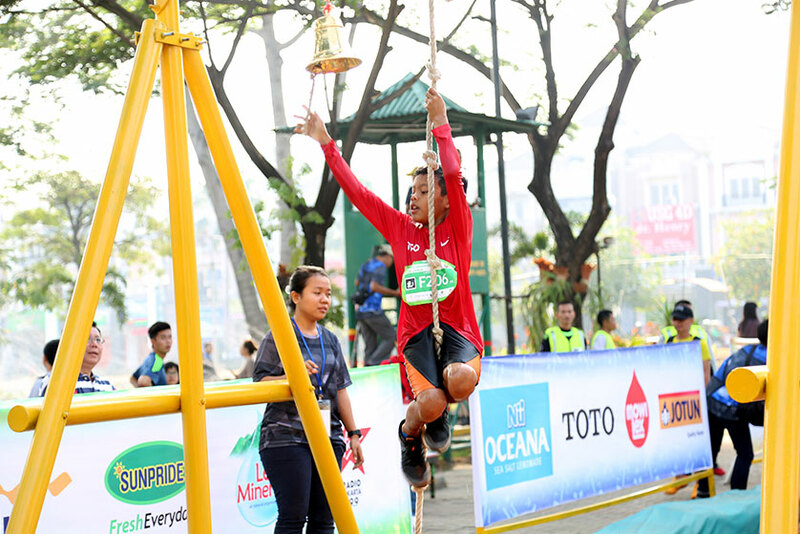 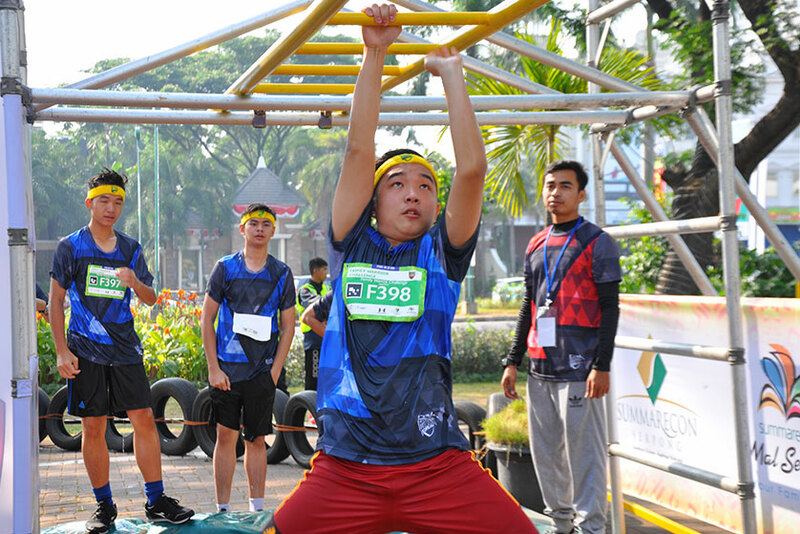 The next challenge, participants will be faced to a tall grip and participants must be able to reach the grip one to another to finish this obstacle. 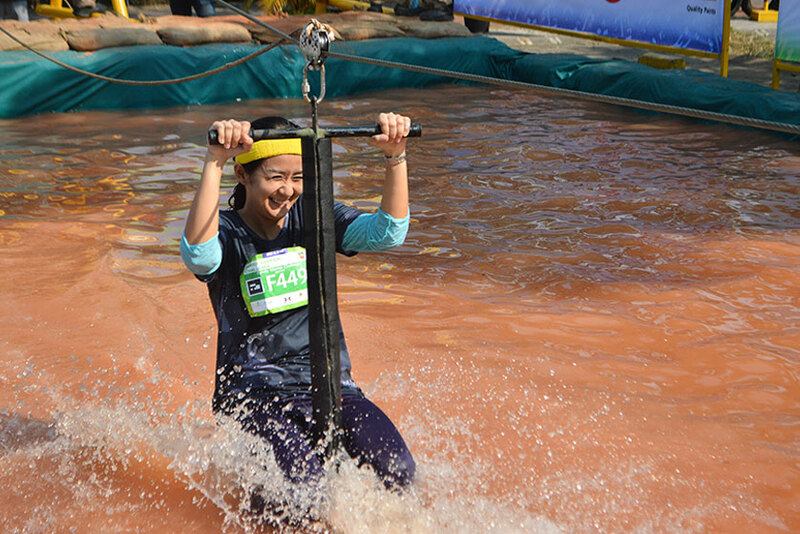 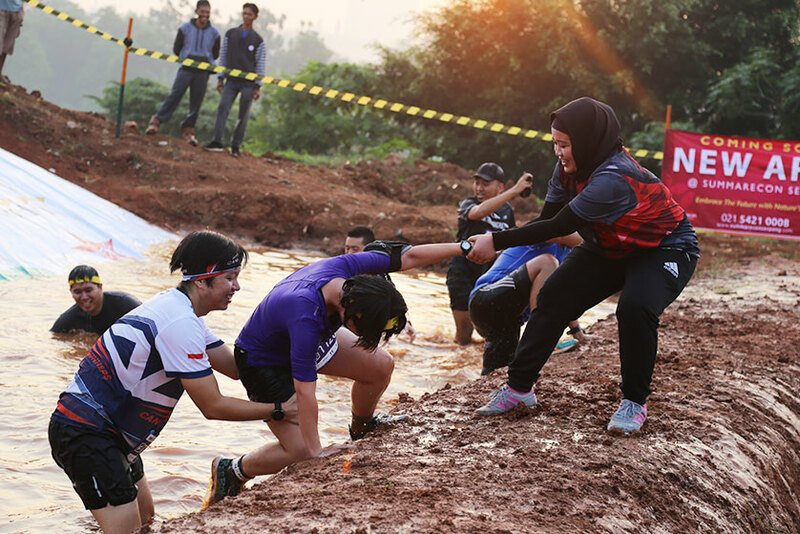 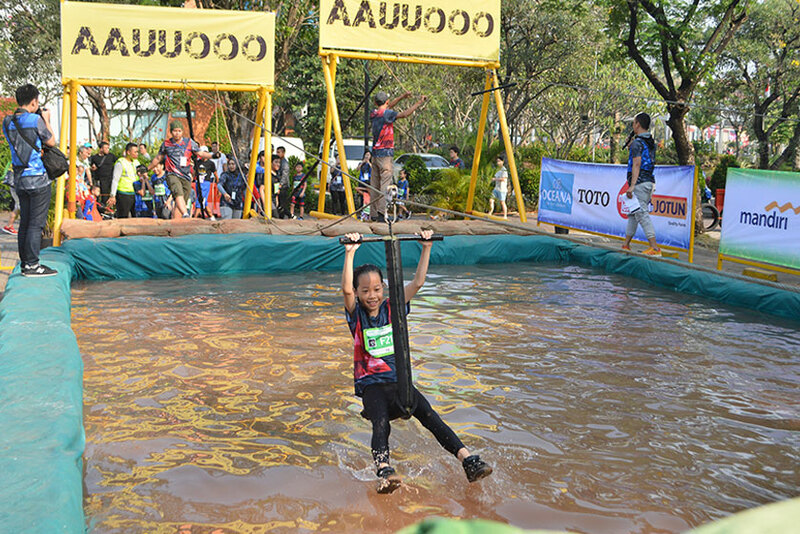 Every participants are obligated to have power in their arms to avoid them fall down into the mud pool. 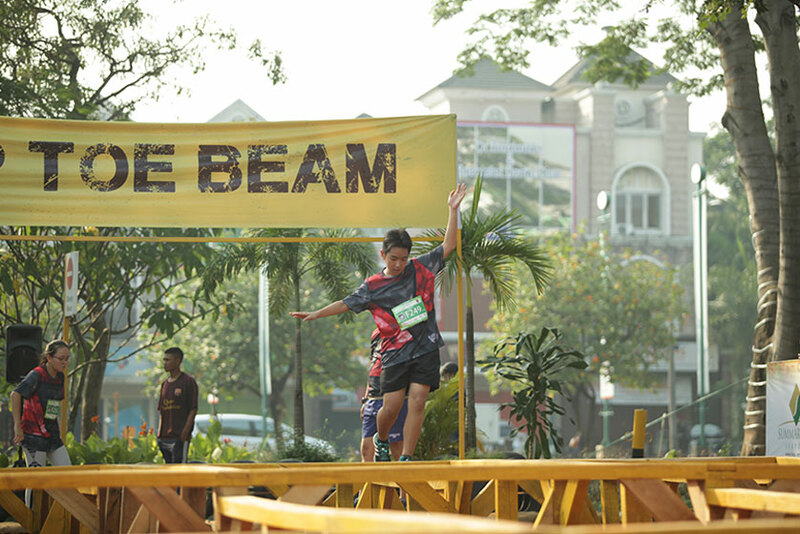 Beside that, participants will have to walk on a beam track above the water without falling down. 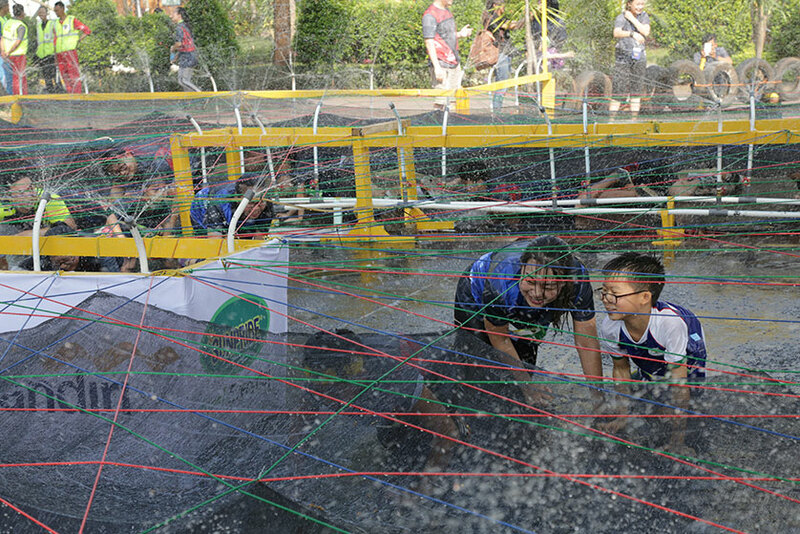 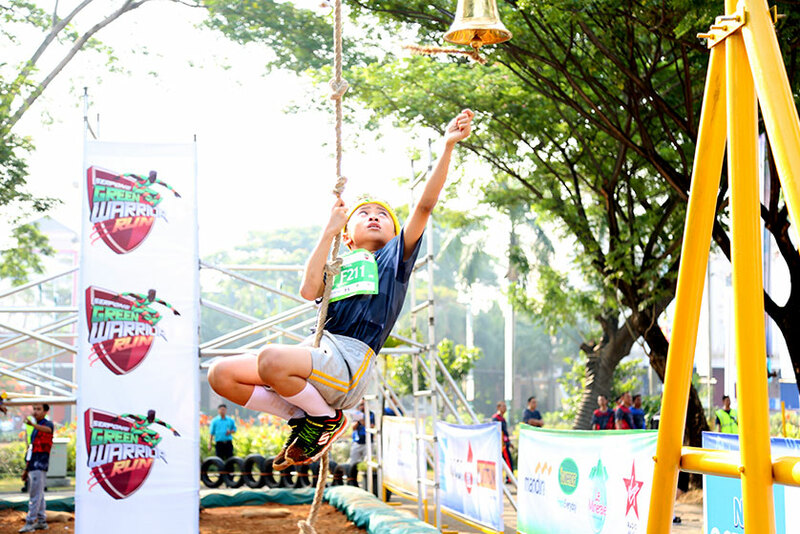 In the fifth obstacle, there is a hanging string which connects participants from one side to another. 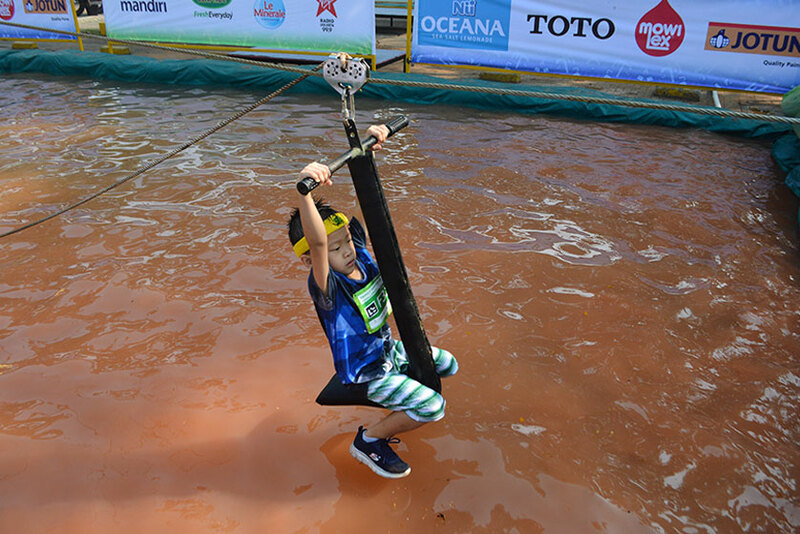 Participants have to hold on to the strings tightly in order not to fall down into the water. 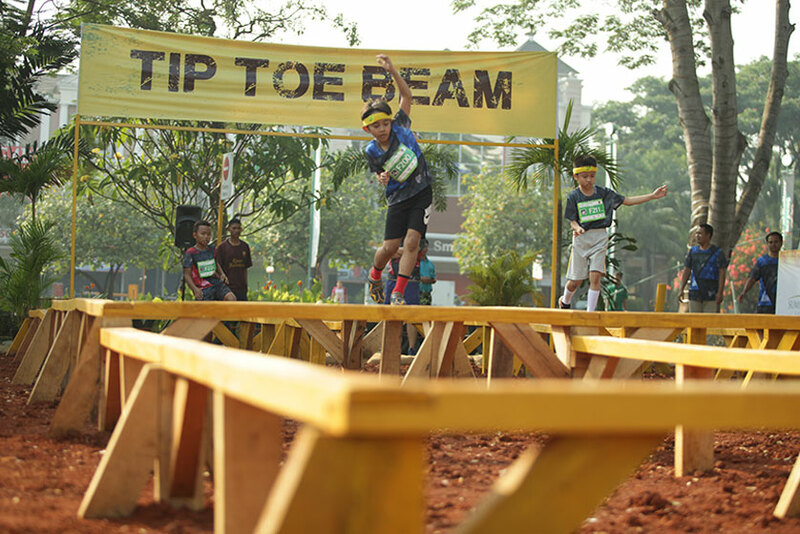 This obstacle will challenges participants with a complicated route and they need to jump over some short beams. 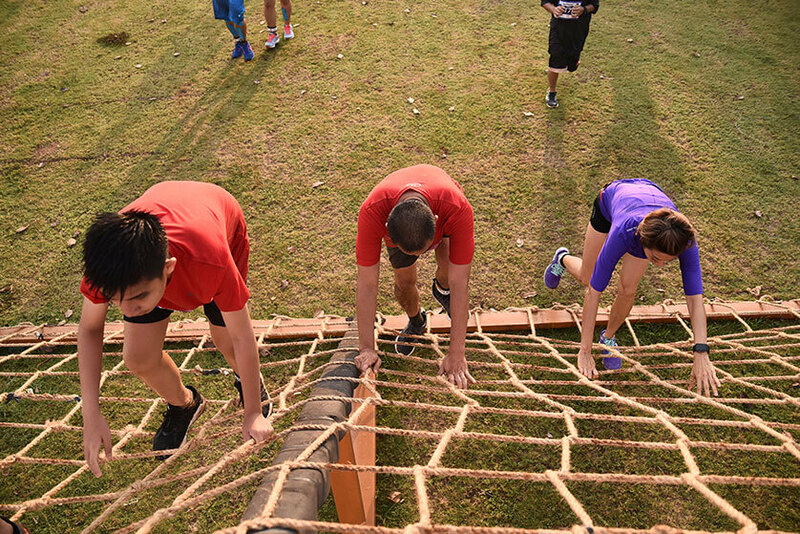 Quickness and agility is needed to pass this obstacle. 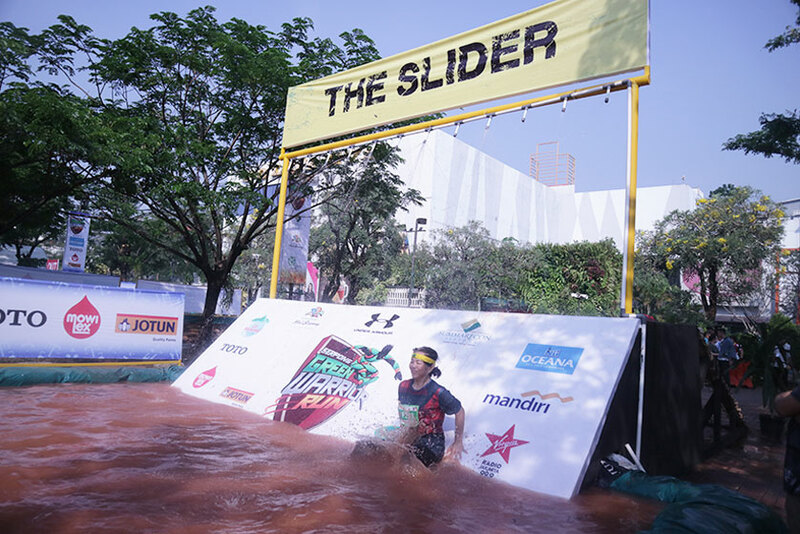 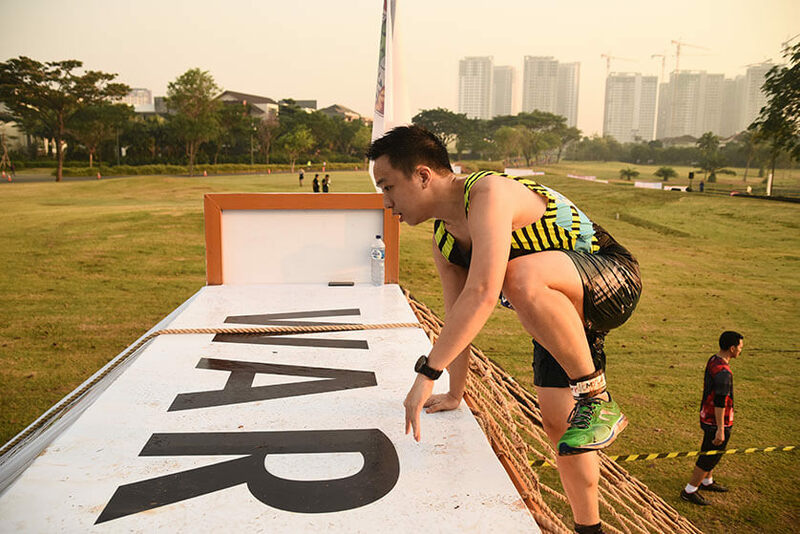 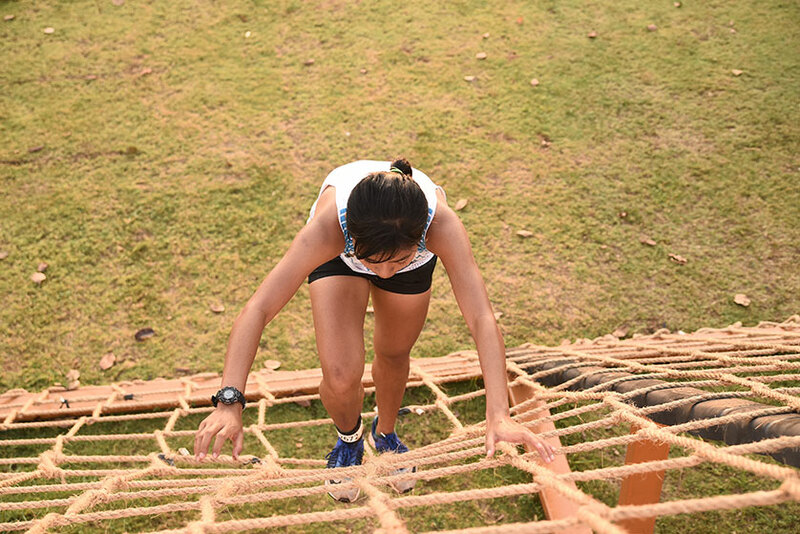 This obstacle might seem easy, but participants must be careful because the track in this obstacle very slippery. 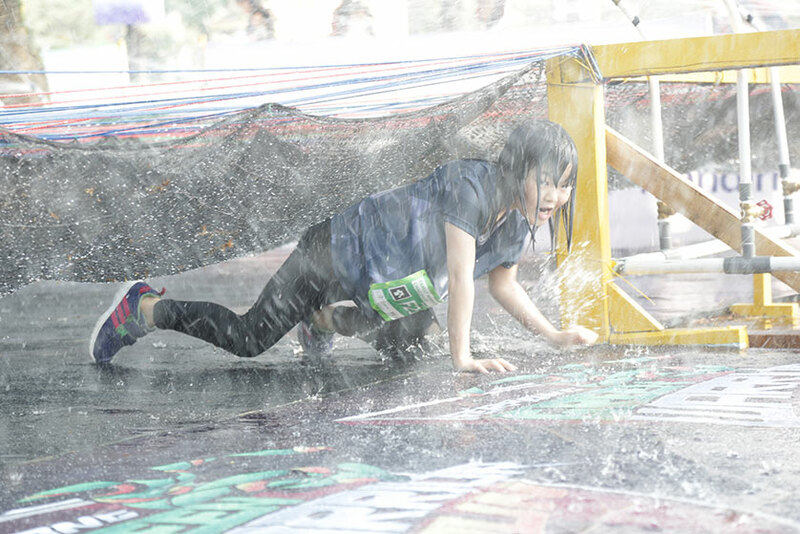 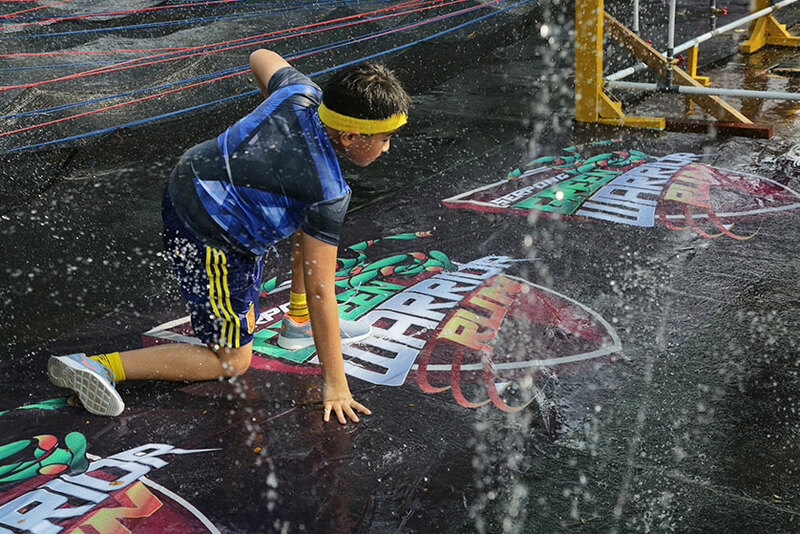 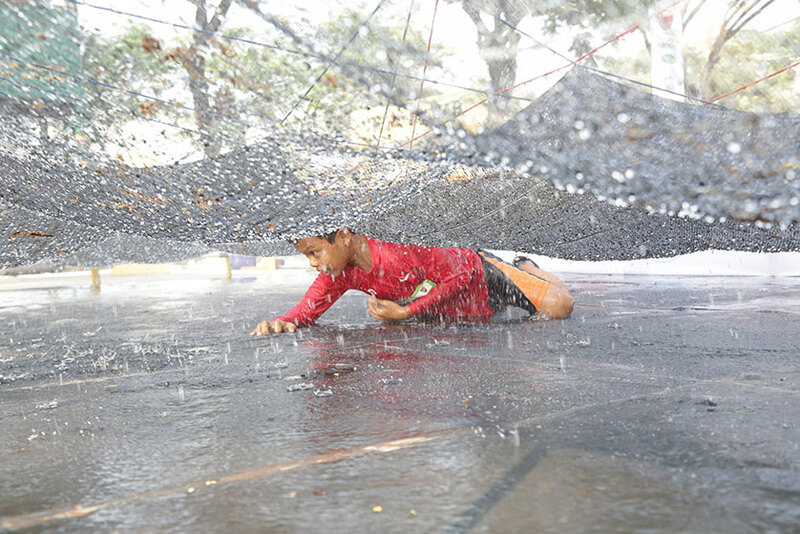 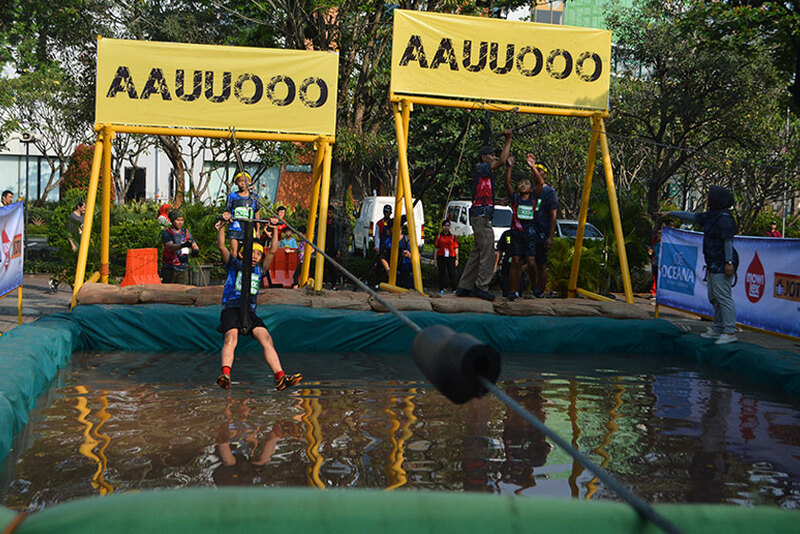 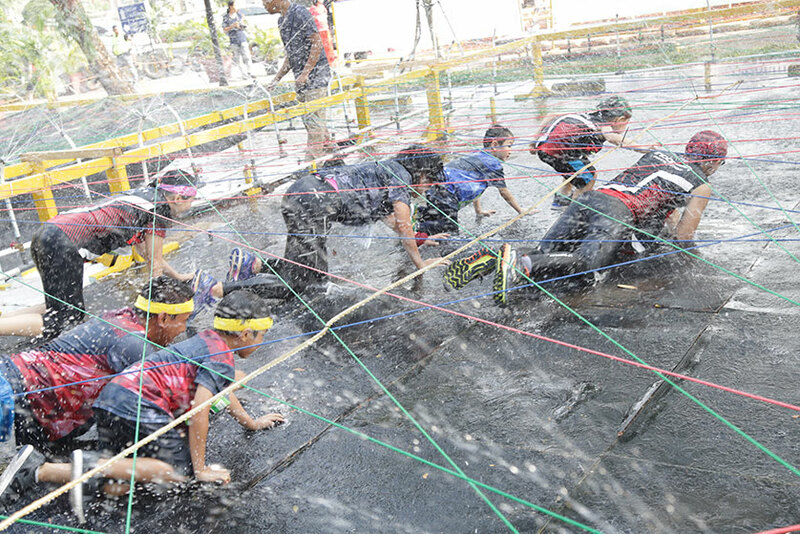 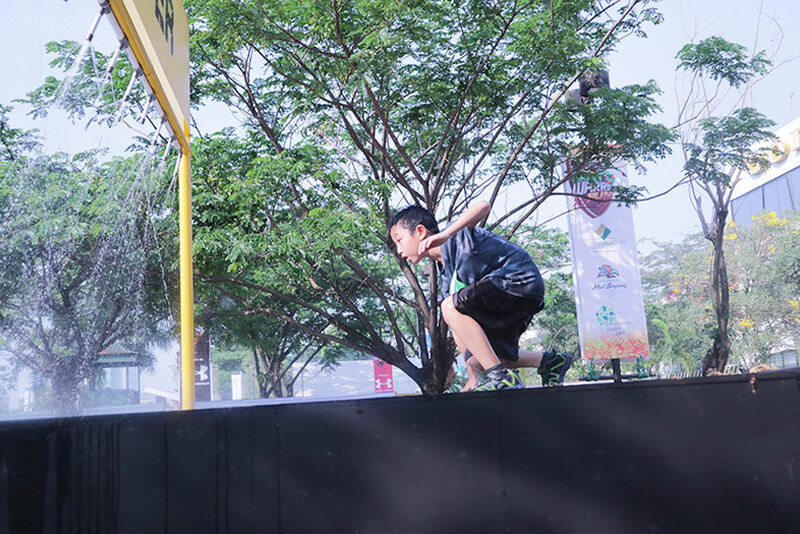 In this obstacle, participants will face a huge and tall beam which flowed continuously with water. 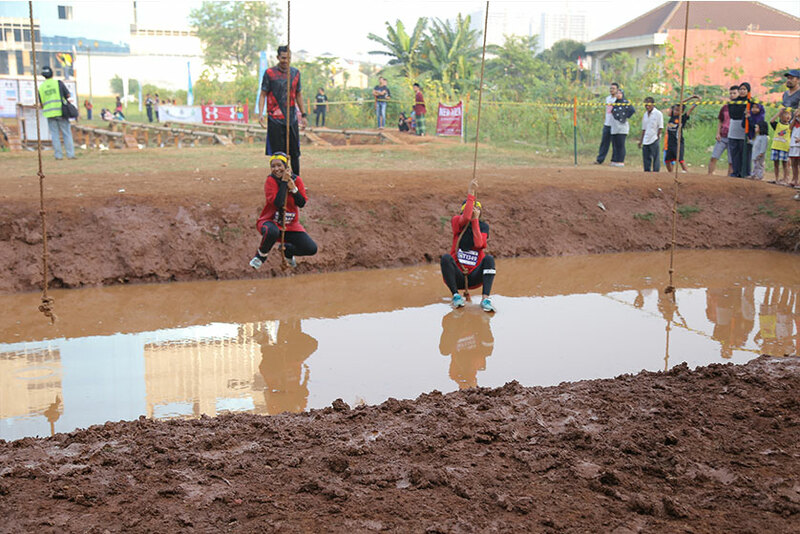 Participants must climb the beam, slide on the other side of the beam and fall into mud pool. 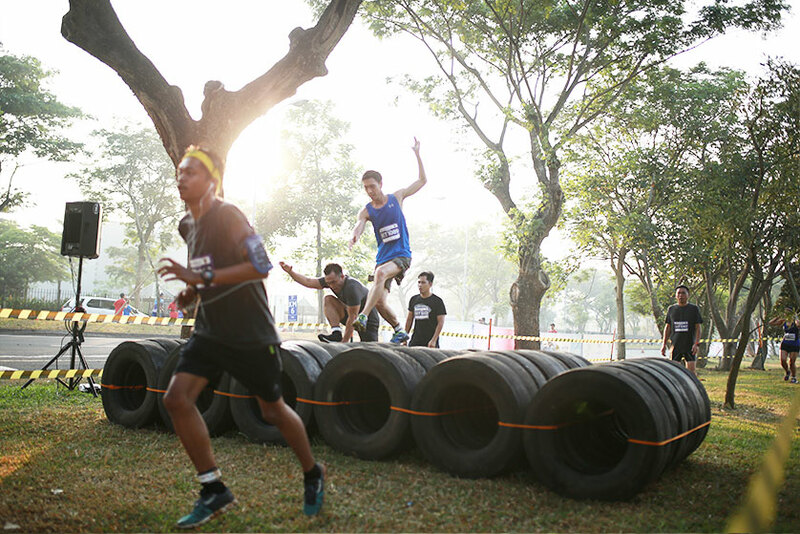 After that, participants must run on the water with some hanging tires on the running track. 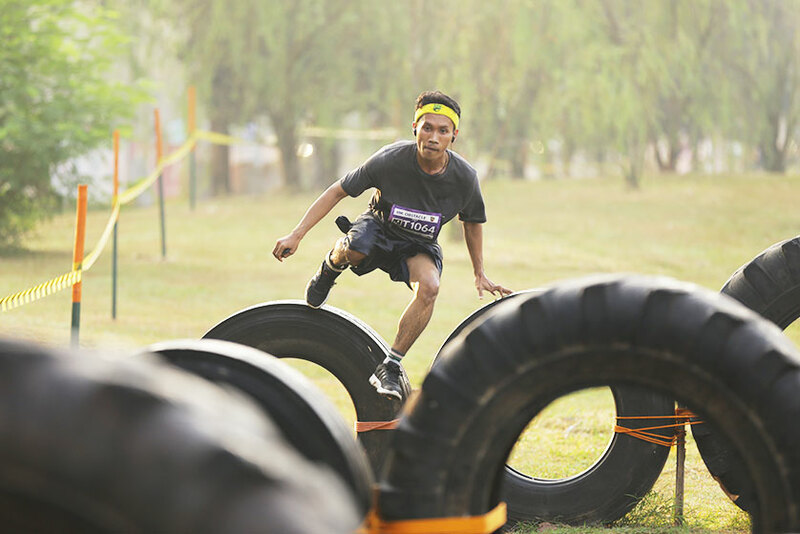 In this last obstacle, participants will face a mud pool with some tire hurdles on the track which they need to jump over. 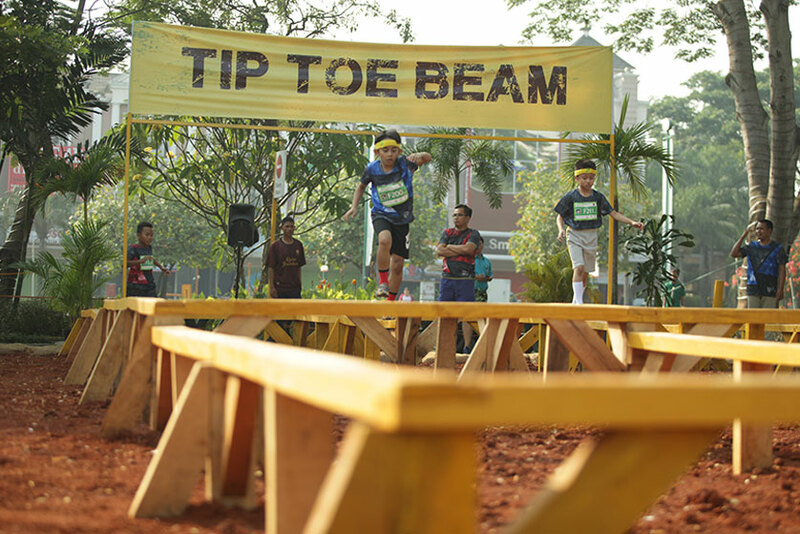 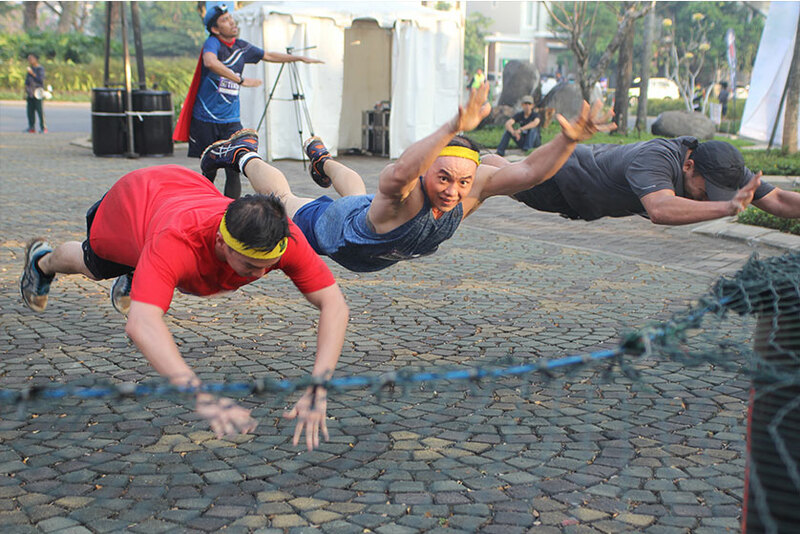 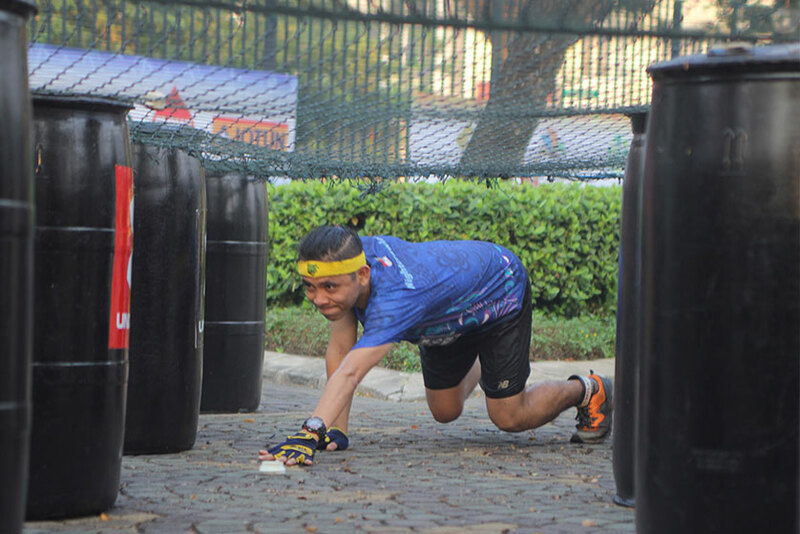 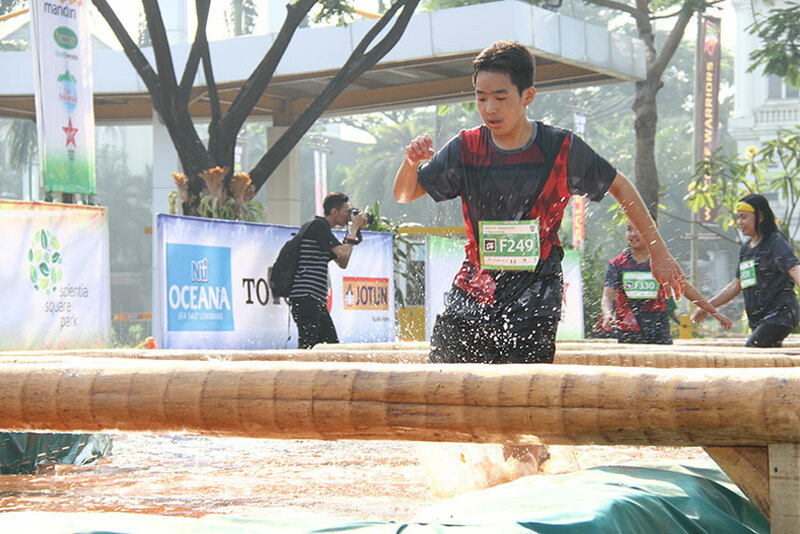 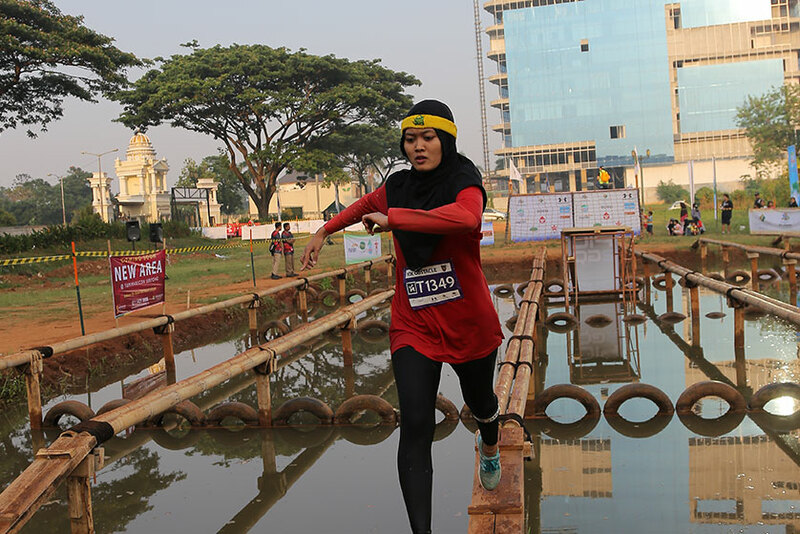 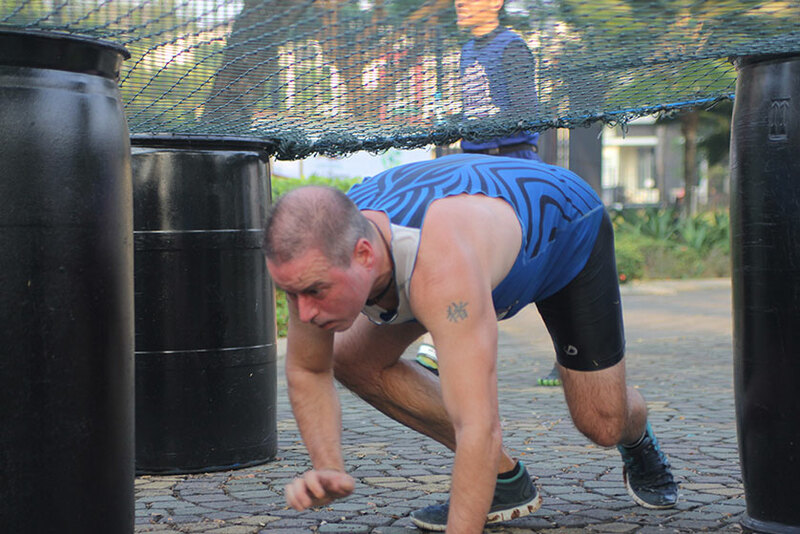 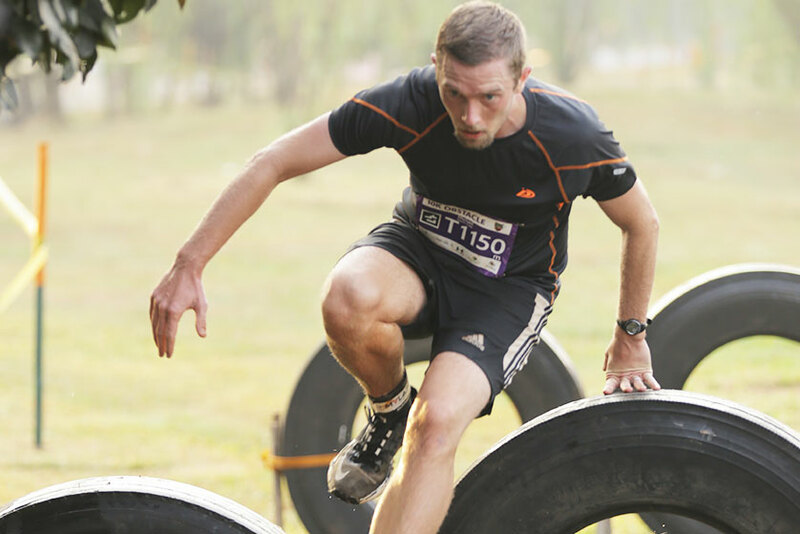 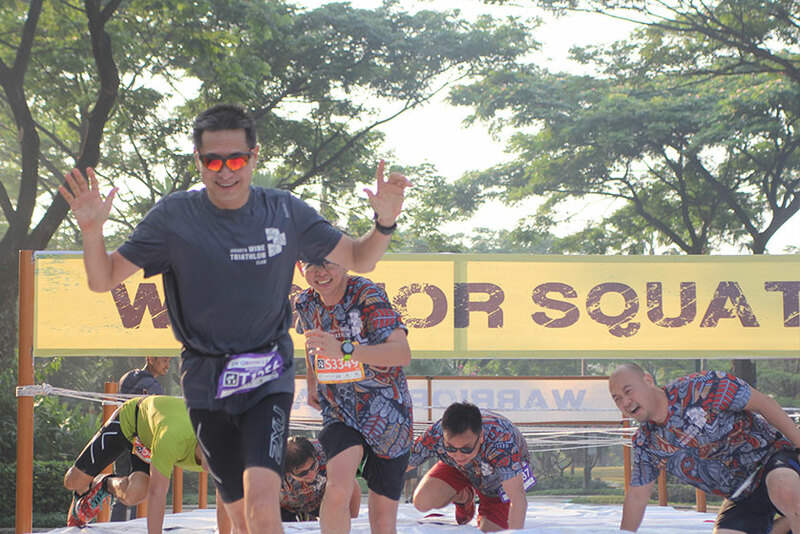 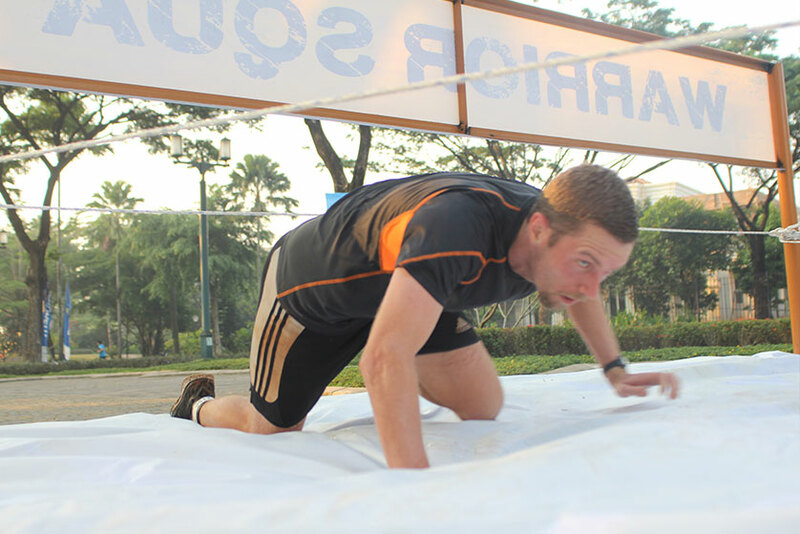 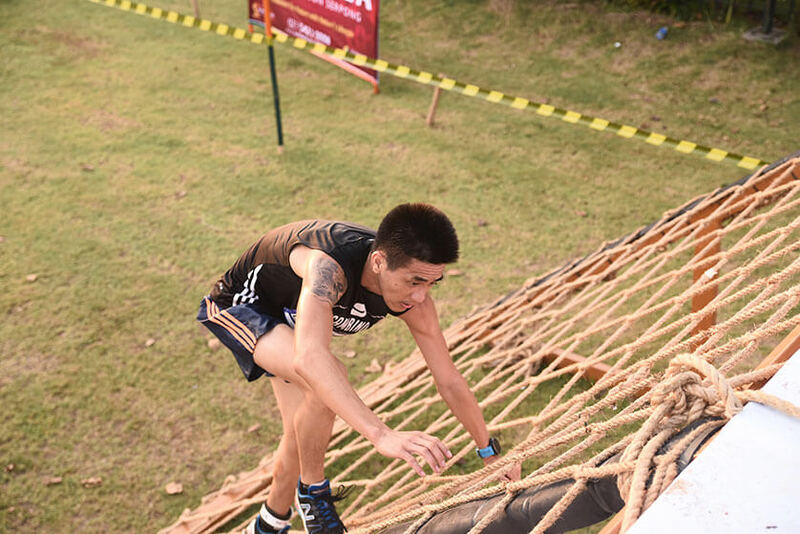 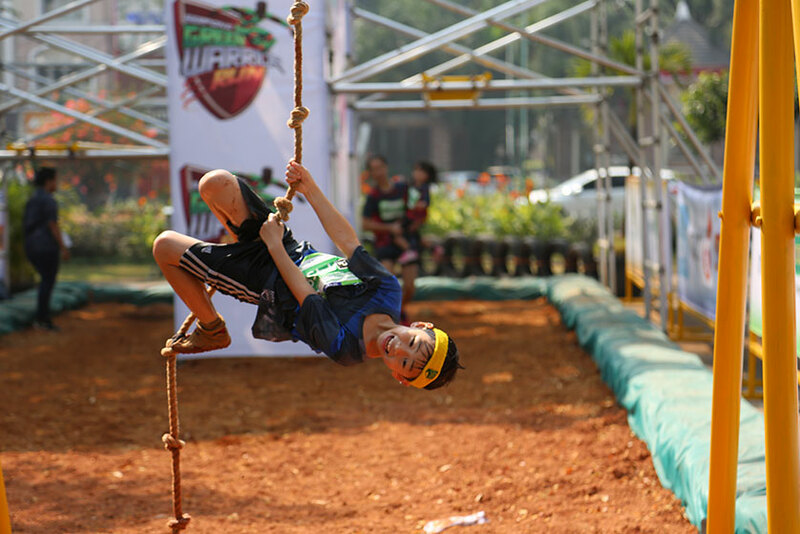 The agility of participants is needed and they have to pass every hurdles quickly in order to finish this obstacle.